Jyothi Aimino is a Piedmontese girl born in India and a graduate of the University of Gastronomic Sciences (2017). While at university the love for her locality blossomed and she decided to focus her career where she lives: in Borgomasino, in the Canavese wine district. The Canavese area has a great potential both for tourism and food and wine. Borgomasino has always been a land of wine vocation, as it straddles two wine denominations: the Erbaluce di Caluso DOCG - a white wine - and the Canavese DOC - a red wine! So, why not producing wine? This is how L'Erm by Aimino Jyothi, her own winery was born! She has also many other projects about wine, but she will share them little by little. One thing is certin, Jyothi will do her best to promote Borgomasino, the town that welcomed her with open arms and to whom she owes everything. 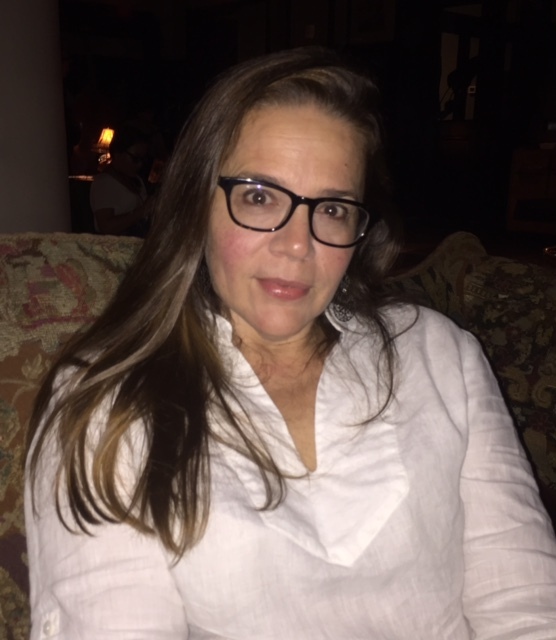 Reine Bouton teaches English and food and travel writing at Southeastern Louisiana University, which is an hour outside of New Orleans. She has published and presented papers on Italy, travel, and food--much of her work focuses on small plate culture and food and identity/culture. In addition to her nonfiction work, she has published several short stories and is working on a novel. During her time at Southeastern, she lead study abroad programs to Italy for ten years and to France and Ireland as well. Follow her on Suitcase And All and Twitter. Christina Conte was born in Scotland to Italian parents, just like St Patrick; but unlike the saintly figure, she now lives in sunny Los Angeles. She is usually cooking, baking or (cr)eating something scrumptious to share with her readers on Christina's Cucina. When Christina isn't in the kitchen, she loves to travel near and far, as long as there's good food involved. She's on a mission to save authentic Italian dishes from a horrible death, and constantly promoting her native Scottish (and British) cuisine in order to dispel the myth of "bad British food". Christina has two degrees in psychology (one for each child) and used to be a social worker who taught parenting skills. She could easily be vegetarian if it wasn't for bacon, black pudding, cured Italian sausages, pancetta and salami. Basically, it’s a pig problem she has. Just don't get her started by asking her thoughts on using trendy short cuts, one-pot pasta dishes, faux and processed food, preservatives, and dump dinners. You've been duly warned. Follow her on Instagram, Facebook, Twitter. After an international corporate life during which she was well paid, well travelled and well fed, she now has the luxury of combining her twin passions of Italy and food. 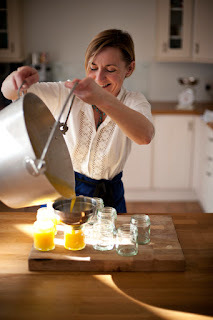 Keen supporter of Slow Food and love to source and cook with authentic ingredients in her kitchens in London and Milan. Fell in love with Turin about four years ago and now try to be here as often as she can. Can’t be doing with fake or speedy anything and likely to rant about the industrialisation of food at the drop of hat. When not in the kitchen, likely to be found with her nose in a book, wandering around looking at art and architecture or listening to opera (the earlier the better). Blessed with a wonderful Italian partner, Edoardo, whose role in the kitchen is to keep my glass filled. After 25 years as a nurse in Ivrea and then Britain since 2003, Antonio de Vecchi decided to follow his true passion: making gelato. 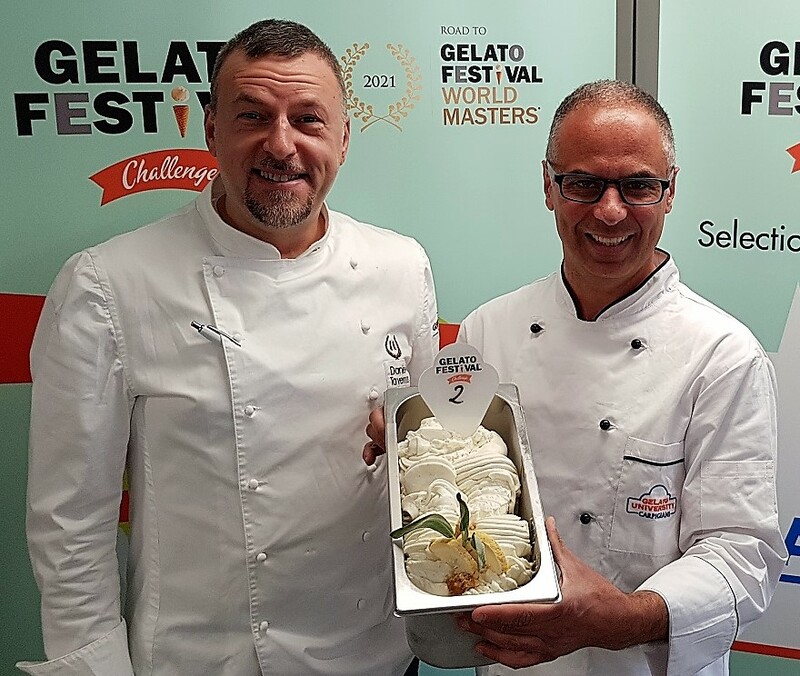 He enrolled in the Carpigiani courses at the end of May 2013 to bring real gelato to Leicester, along with Daniele Taverna. Their Piedmontese heritage gives a unique twist to their creations. Crafted in the artisanal style, they use only the best ingredients. This starts with the fresh milk from Alan Hewson’s cows at the Belvoir Ridge Creamery and the honey, created by the Slow Food UK Supporter “The Bee Farmer”, David McDowell. With the support of Renato “Jo Pistacchio” Romano, they have also recently cemented their place in the local food community by being the first to bring PGI certified Sfusato lemons to their region of the UK. Organising a co-operative with other local restaurants and delis, they are now bringing this world-leading fruit regularly to the area, and using it to create delicious sorbetti. As well as creating gelato inspired by Italian and Piedmontese tradition, Antonio and Daniele also tirelessly develop new and exciting recipes which represent the flavours of their new home and the rich diversity of fresh ingredients in the area. if you are in the UK, you must go to Gelato Village in Leicester. 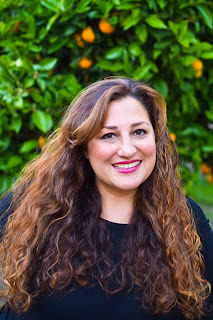 Alessandra Gambini is an LA-based food writer, cookbook author and multi-award nominee host chef in web series. She's an Italian food ambassador and develops recipes for the most prestigious Italian brands. Ale is the head cooking instructor at the Italian Cultural Institute of Los Angeles. Follow her on her website: A Queen In The Kitchen, on Facebook, Twitter, Instagram, Vimeo, Youtube. 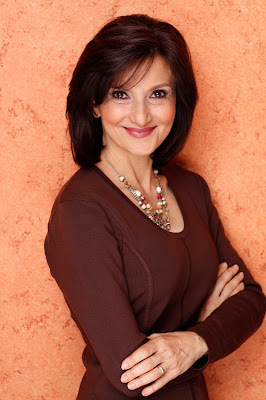 Annette Joseph is an American author, expert on entertaining, cooking, food, and photo styling, and interior design stylist for numerous lifestyle magazines. She studied at the Culinary Institute of America in both upstate New York and Napa Valley. 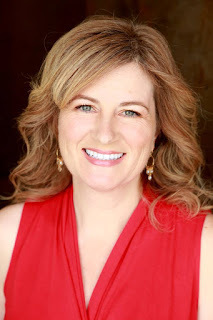 With a solid background in everything from DIY projects to cooking, Annette has worked on countless freelance projects with cookbook authors and top-notch magazines, such as Better Homes & Gardens, Country Homes, Redbook, and People, and is a regular lifestyle contributor and entertaining expert on the Today Show, Better Mornings, and Martha Stewart Sirius Radio. Her recipes and party ideas have been featured in many magazines and newspapers. Annette splits her time between Atlanta, Georgia, and Tuscany, Italy, where she and her husband are restoring a medieval fortress. In Italy their house has been featured in Casa Facile, and QUIN magazines. 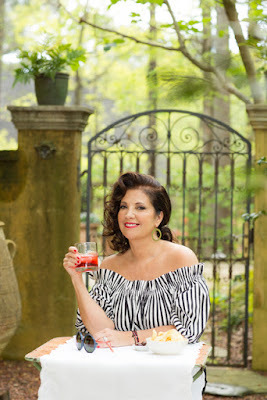 She is the author of 2 cookbooks, Picture Perfect Parties (Rizzoli NY) and Cocktail Italiano, Tales the Definitive Guide to Aperitvo: Drinks and Nibbles and Tales of the Italian Riviera (Skyhorse NY). She currently is the Entertaining Editor for Atlanta Magazine’s HOME. Ulderica Masoni Originally from Vercelli, the rice capital of Europe, Ulderica fell for fashion at 15. A law school graduate, she started her fashion career as a model and ever since then she has always worn many hats like: fashion buyer, personal shopper, commercial director for companies, artistic director for museums, exhibits, events, PR and many others. Ulderica has always divided her life between Turin - where she came to complete her university studies, and Milan - where she once even managed her own jewelry show-room. Working in the fashion industry has introduced her to many artists and has allowed her to fully devote her life to art and fashion. 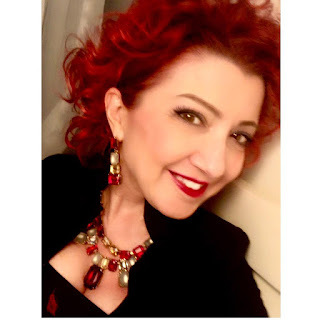 She blogs on www.hermyandmomlife.com, she collaborates with MYBEAUTYBOX Italia – RCS Mediagroup, she's the official Press Office of SeVeC (the Silk, Glass and Cermic museum) in the Cuneo area here in Piedmont, she collaborates with many art galleries, yet her top passion is: jewelry! Thanks to her own personal huge collection made up of the works of the most famous Italian and international fashion and jewelry designers (Correani, Sharra Pagano, De Liguoro, Barbara Uderzo, Carlo Zini, Moschino, YSL, among the many) she has studied jewelry design and history and in the years, she has also made of her passion one of her professional expertise. In fact, over the years, she has been collaborating with many jewelry designers and schools, she has organized and taught workshops and made presentations at many institutions and events. As a lifestyle expert and scholar, she has also completed different research projects for the Criminal Chamber of Turin and her most famous one is about Ulrike Meinhof and the Fashion Revolution. You can follow her on Instagram too where she always posts great stories!! 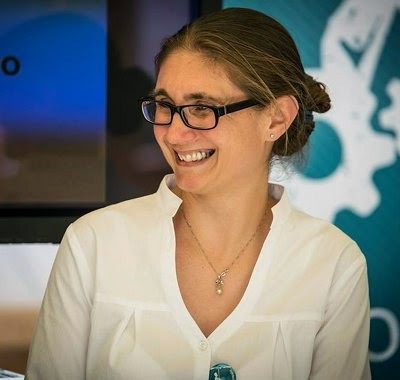 Benedetta Oggero aka Miss Bee Born and raised in Turin, after graduating as an interpreter and translator, Benedetta moved to London for seven years working in the financial sector. Upon her return to Turin, she needed a career change and decided to fully pursue her dreams and started cooking and teaching English. Under the name of Miss Bee, she started working as a personal chef and organizing Social Eating supper club dinners in Turin, specializing in several international cuisines and anything British or Britalian. When she is not in the kitchen, she teaches English and manages some real estate properties. In her free time, she enjoys travelling, reading (especially Jane Austen) and home decorating. 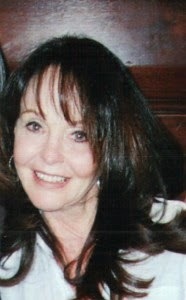 Cynthia Woodman is a classically trained cook from Southern California. She received her culinary certificate in French cuisine from the California Culinary Academy in San Francisco, now part of the Cordon Bleu. She also has a Master's degree in English. After culinary school, Cynthia lived in London where she cooked in a French restaurant, English pub and for a catering company. She met her husband of 30 years while working in a restaurant in Southern California. They spent their honeymoon traveling around the world where they visited, India, Australia, China, Malaysia, Greece, and Egypt, to name a few. Cynthia's website: What A Girl Eats is where she shares "Healthy food with a global spin", as well as her world travels and adventures. Follow her on Facebook and Instagram too! Alberto & Kelly are a cross-cultural couple (he’s Italian, she’s American) who share a passion for cooking (especially traditional homemade Italian recipes) & good conversation around the dinner table. By day Alberto (Semenzato) works in IT and Kelly (Strobel) is an English teacher, but they created italianatheart.com initially as a language exchange through recipes. The blog has evolved into a mutual passion with a deeper mission: make authentic Italian cuisine seen & heard in the English-speaking world. After studying abroad in California, Alberto met his nemesis: chicken Alfredo fettuccine. 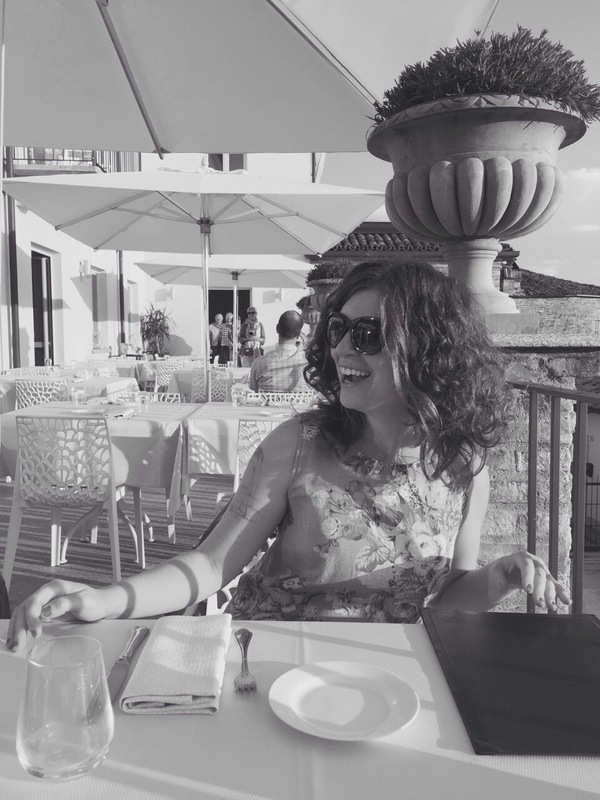 And after studying abroad in Torino, Kelly fell in love with the city and the cuisine, and especially the idea that language learning thrives best over a scrumptious meal around the table. For us there is no greater expression of love & connection than through the breaking of bread together. After an international corporate life during which I was well paid, well travelled and well fed, I now have the luxury of combining my twin passions of Italy and food. Keen supporter of Slow Food and love to source and cook with authentic ingredients in our kitchens in London and Milan. Fell in love with Turin about four years ago and now try to be here as often as I can. Can’t be doing with fake or speedy anything and likely to rant about the industrialisation of food at the drop of hat. When not in the kitchen, likely to be found with my nose in a book, wandering around looking at art and architecture or listening to opera (the earlier the better). Blessed with a wonderful Italian partner, Edoardo, whose role in the kitchen is to keep my glass filled. 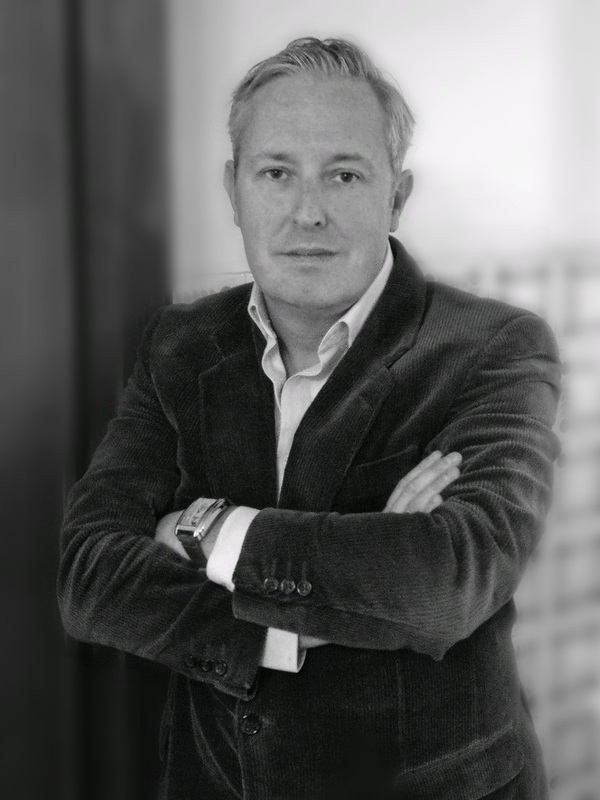 Andrew Dunne is originally from Dublin, Ireland and moved to the Langhe region of Piemonte in 2016. 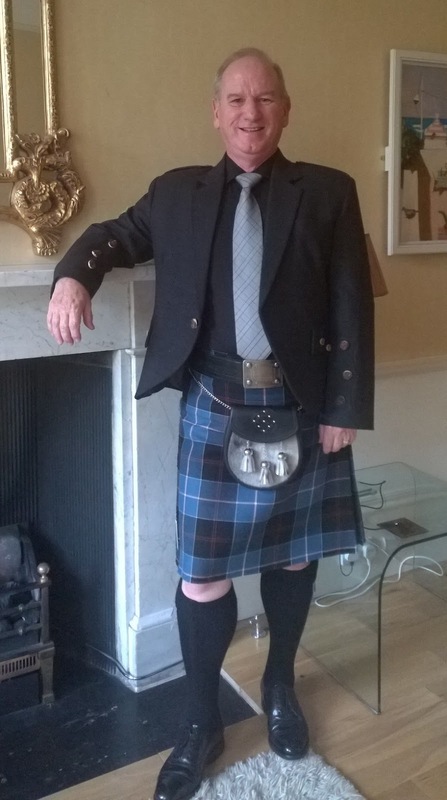 With a love of “tutto Italiano” Andrew has been a regular visitor to Italy since he first visited on holidays in 1988. Self-employed, Andrew’s real passion is food and wine, particularly Italian but now with an emphasis on Piemontese food and wine. In early 2017, Andrew set up Piemonte Deli, a food & wine gift box business presenting local, artisanal, award-winning producers and delivering throughout Europe direct from Italy. The company’s value is “provenance”, only sourcing gourmet food products directly from some of the most amazing family businesses and wines directly from award-winning, family run boutique vineyards. Many of the products are award-winning and some of the products have been awarded the prestigious "Piemonte Eccellenza Artigiana" in recognition of Italian producers using traditional artisan methods and an important symbol of excellence and some of our wine suppliers being awarded the 'Slow Food' 'Presidio' award in August 2017, for their Dolcetto. Since then Piemonte Deli is starting to bring these “hidden gems” to Ireland/UK & Europe by distributing these wonderful products to independent retailers. 2018 will also see the introduction of the Piemonte Wine Club, a subscription service showcasing the wonderful wines of Piemonte. Joyce Galicia was born and raised in the Philippines. She has been living in Turin, Italy for a decade with her Turinese husband and two kids. She is a teacher by profession, a food and travel enthusiast and a singer by passion. Follow Joyce on her Instagram account where she portrays Turin and the world from an unusual and authentic perspective. Georgie Knaggs I grew up on a farm in Africa – Zimbabwe. Since then my life has been a mixture of family, travel, and writing. I’ve lived in many countries, most recently in Italy where we spent two years (2014-2016) on the outskirts of Naples. The city and its beautiful location fascinated me from the start, and thanks to excellent, occasional language classes in the old centre I learned enough Italian to find my way around the city, and to explore its history, its treasures, its culture, and the importance it places on family and food. I’m now back in London, where my mind still travels, and I continue to write and to work on my blog The Phraser – “a broad little blog on culture, travel, elephants and people”. 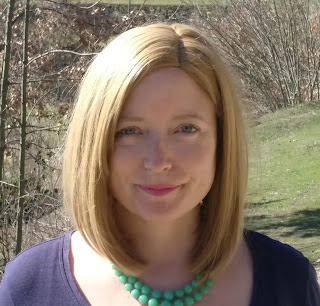 Clare Reed is Irish, 42, and living the dream in Alta Langhe, Piemonte. Brought up in England she has travelled the world and lived in 5 countries as an adult, settling in Langhe in 2016. 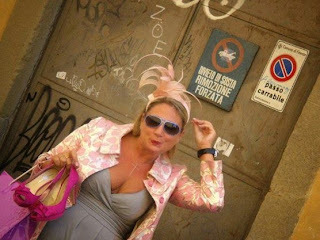 She has thrown herself into the community in her village and entertaining 'Langhe style' has taken over her life. She loves hosting and visiting her Italian neighbours for lunches and dinners soaking up all the local customs, Piemontese foods and wines, as well as the great entertainment her new neighbours offer. She writes about her new adventures and living in the Piemontese way in her blog www.piemontedreams.com, she contributes to international ex-pat blogs and is in the midst of writing her first novel set in Italy – where else! When she puts her laptop away she is most often found in the kitchen making up a batch of preserves from her garden’s fruit trees and vegetable plot. Francine Segan, one of America’s foremost authorities on Italian cuisine, is a food historian and engaging public speaker and TV personality. A noted James Beard-nominated author of six books including her most recent two on Italy are Dolci: Italy’s Sweets and Pasta Modern: New & Inspired Recipes from Italy. She is the host on NYC’s popular i-italy TV series “Americans who Love Italy,” which airs Saturdays and Sundays on channel 25 and 22. She also appears on many other programs, including Today Show and Early Show and has been featured on numerous specials for PBS, the Food Network and the History, Sundance and Discovery channels. She lectures across the USA for the prestigious speaker’s bureau Cassidy & Fishman and is a frequent guest speaker at NYC’s premiere cultural center the 92Y, Institute for Advanced Study at Princeton University, Smithsonian Museum in DC, Virginia Fine Arts Museum, Museum of Natural History in NYC among others. She recently moderated a panel for the Tribecca Film Festival on food in film with Isabella Rosellini and Stanley Tucci. 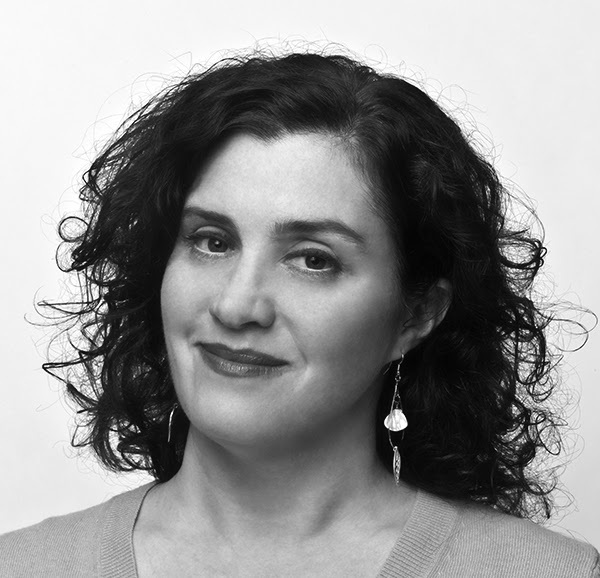 Ms. Segan writes for several magazines including Epicurious, Food Arts, and Gastronomica. She writes extensively about chocolate and authored several chapters of Rutgers University’s catalogue Bitter Sweet: The Chocolate Show and contributed the chapter “Italian Chocolate” for the upcoming Oxford Encyclopedia of Sweets. She also recently wrote a twelve-page cover feature on Italian chocolate desserts for La Cucina Italiana magazine. 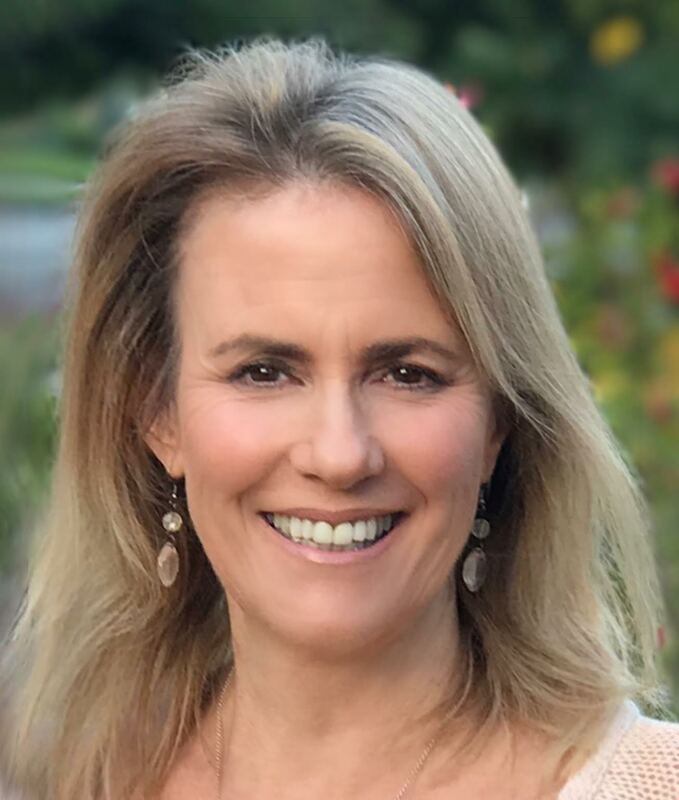 Francine Segan is a frequently quoted expert in many newspapers and magazines including the New York Times, Wall Street Journal, Vogue, Scientific American, USA Today, L.A. Times, and Chicago Tribune. 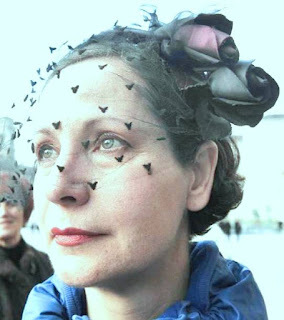 Diana Skok Corridori is an Italian-American living in northern Italy. Her father is from Trieste and she was born in Texas. Growing up, meals included dishes such as bbq ribs, jota and gnocchi. Food always reflected the multicultural home she was raised in and contributed to her curiosity of the the cultural differences between America and Italy. 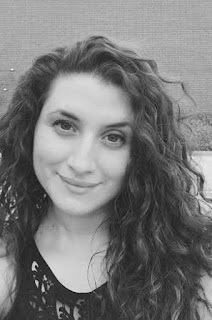 Living in Italy has given her the opportunity to compare the realities of "La Dolce Vita" and "The American Dream." 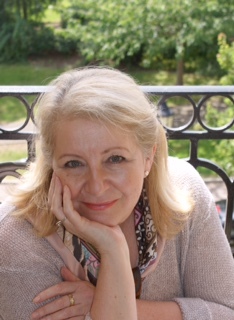 She writes about food, travel and life in the old country at: www.italytranslated.com and contributes to the publications: The Telegraph, CNN and National Geographic. When she is not writing, she is planning trips for independent travelers to Italy. Elfin Waters I was born in the US but grew up in Italy in an English speaking family. I have a background as a translator and originally, I'm a certified English teacher. I worked in offline schools until 2013 when I had an accident that forced me to reconsider every aspect of my life and start teaching online over at Italki. When I first posted my profile, I offered lessons in every language I knew and to my complete surprise, the first requests I received were for Italian. That's when I discovered that many people wanted to learn Italian and live in the very country I was at odds with and that I wanted to leave. Thanks to my students, I started seeing Italy through new and different eyes. Now, I'm on a mission to get more English speakers to overcome their fears and learn Italian so they can get to out of their tourist bubble and connect with Italy in a more meaningful way. I specialize in using social media to squeeze language learning into a busy life and I feel that process of learning a language should be just as enjoyable and remarkable as the final goal, that of becoming fluent. I give daily Italian lessons on Instagram and have created a supportive Italophile community. Patriza met astrology for the first time when she turned 13. On that occasion she was given a tiny book where she found out that Scorpio ladies "aren't pretty but charming" and that most likely, she would marry a Cancerian or a Taurus. Back then, she was madly in love - and unrequited - with a Sagittarius and all of that just sounded so cruel to her. Despite the momentary disappointment, her curiosity for astrology had already seized her interest and it soon changed into a passion. After 40 years and a degree in maths, plus many certifications in astrology, her curiosity to understand the influence of the planets on our lives still keeps her up during restless nights. Naturally, over the past years, she met some beautiful Scorpio women who were also charming, however, the most important thing is that astrology has slowly taught her to look for the real beauty of people inside them and to collect their stories. For the records she didn't marry a Cancerian nor a Taurus. Patrizia has just published her first book "Ai Piedi di Venere" or At Venus' feet soon to be released in English too. 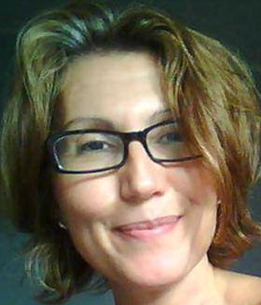 You can follow her on her website Linguaggi Simbolici with an English version coming up soon. Ilva Beretta is a Swedish photographer based in Tuscany. She specialises in food and still life photography with a predilection for shooting in daylight. Ilva shoots both commercial and editorial photography, on the editorial side she has worked with publishers and magazines like Gibbs-Smith Publishing, QA International, Art of Eating, Sale & Pepe, Alice Cucina, Mat&Vänner, Condé Nast to mention some of her clients. Commercial clients include Giovanni Rana, Esselunga, Philadelphia, Ferrari, Rio Mare. Ilva has received many important international recognitions among which the most important are winner of the IACP Digital Media Award for Best Photography in 2014, finalist in Sony World Photography Awards and finalist in Pink Lady Food Photographer of the Years Awards, both in 2016. 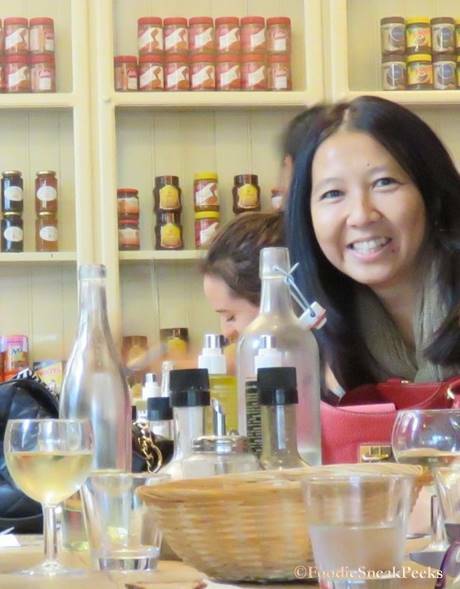 My multicultural background--Asian (Chinese parents), Latin (brought up in Lima) and European (married to a Swiss-Peruvian for 28 years and based in Switzerland for over 20 years) -- has always geared my foodie spirit and my interest in discovering different places. In Lima I worked as personal assistant and planning conferences and events at the International Potato Center. In Zurich I had jobs as personal assistant in private banks. Growing up in Peru and being raised in a Chinese family played a major role in my current appreciation of food. Sitting down with the family for most meals was compulsory, now I know that it was something special. It was a matter of getting together, valuing the flavors but, most importantly, uniting people through food. I have to confess you that I was the one who spent more hours sitting at the table, because I did not like to eat when I was little… Fortunately, now that has changed, and I do love food! Throughout my years in Europe I have been traveling around the world, focusing more and more on foodie spots, searching out new tastes, photographing, enjoying the whole experience. Since April 2016 I am blogging on Foodie Sneak Peeks for those who like to travel and are enthusiasts of good food and wine. My husband, my son, and I live in a town in the Swiss Alps, in a region that produces an amazing Pinot Noir. This makes me especially lucky, because life is always better with a good glass of wine. Christina was born in Scotland to Italian parents, just like St Patrick; but unlike the saintly figure, she now lives in sunny Los Angeles. 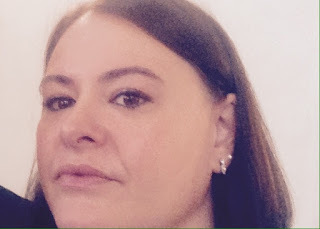 She is usually cooking, baking or (cr)eating something scrumptious to share with her readers on Christina's Cucina. When Christina isn't in the kitchen, she loves to travel near and far, as long as there's good food involved. Just don't get her started by asking her thoughts on using trendy short cuts, one-pot pasta dishes, faux and processed food, preservatives, and dump dinners. You've been duly warned. Amanda Courtney I was born outside of the Boston area, after high school I went to study metal-smithing and jewelry design at the Maine College of Art in Portland ME. Which then brought me to Los Angeles and from there I was tantalized by the super passionate and exciting food and wine scene that LA had to offer. It was then that I found my passion and where I got my wine degree at the Wine and Spirit Educational Trust. Working with wine, talking and educating people about the different regions, varieties, and philosophies of the winemakers, I had found my true talent. I now live and work in one of the most important wine areas in Italy, Piemonte. Having recently started up my own Wine Adventures company I am now able to show people around this area to educate them about the food, wine, and culture of this wonderful place. You can find me at www.amandaswineadventures.com. has been designing and producing her own fashion and accessory lines since 1988. She's taught history of fashion, textile micro-modelling and for the last 11 years, she has been teaching very successful workshops to introduce kids and teenagers to fashion. Adriana is real artisan of fashion, everything she makes, from clothes to jewelry, including all her accessory lines are totally made in Italy in the truest artisan way. Her works are the result of her constant research on form, materials and concept; and over the years, her investigations and explorations have allowed her to collaborate with endless artists in different fields! 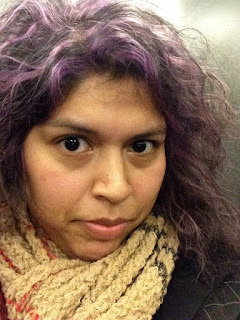 Moreover, Adriana is also a writer, she has a blog www.againstfashion.com where she critiques current fashion from the wider perspective of the maker, the user and the woman; and she also collaborates with an online fashion magazine. 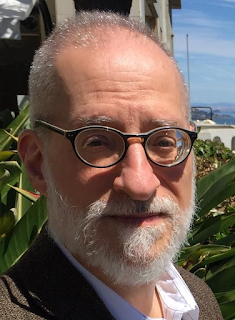 Bill Goldstein is a professor of psychology, a background that has been very useful for his other passion – understanding, choosing, evaluating, and, - naturally! – drinking the wines of the world. He realized very early that Italian wines are unique for their variety, history, and compatibility with food. For that reason he started buying and collecting Italian wines more than thirty years ago, just as interest in wine in the USA began to grow rapidly. Bill and his wife Margaret also were investors in a wine store, for which Bill had major responsibility for choosing the wines – especially those from Italy. In sum, the thousands of Italian grape varieties provide him with continued delight in his never-ending quest to taste them all. Margaret Goldstein has been drinking and appreciating (mostly!) Italian wines for the last 30+ years. 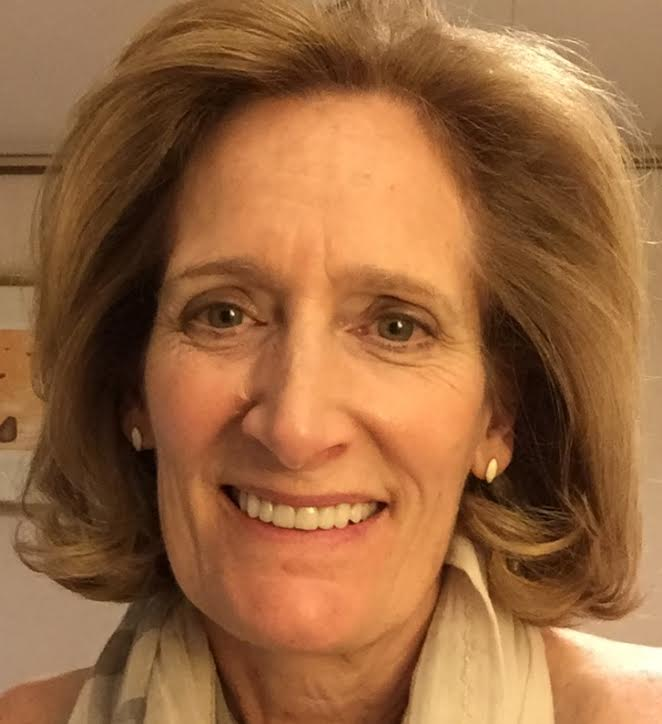 While her professional life has centered around information technology (she has a Master's Degree in Computer Science, worked for IBM for over 10 years, and has had her own IT consulting company since 1994), her "down time" is often focused on cooking (frequently Italian food) and wine. In fact, making pizza from scratch has been a Saturday night ritual for the past several years. Margaret has volunteered as a teacher of English as a Second Language for the past seven years, and she has studied Spanish, Danish, Japanese, and, most recently, Italian, her favorite foreign language, of course! Sanam Lamborn was born in Iran and spent several delicious years living in Rome. Sanam was first introduced to the culinary world in her grandmother’s kitchen, who has served as a touchstone and inspiration. What started as being a little helper turned into a life long love affair with cooking. Sanam’s website My Persian Kitchen was created out of a love for Persian cuisine and culture, but most importantly to showcase a rich aspect of Sanam’s Iranian heritage. Besides cooking Sanam enjoys teaching composition classes, traveling, eating food, leading camping trips, hiking, and volunteering at her favorite charities. 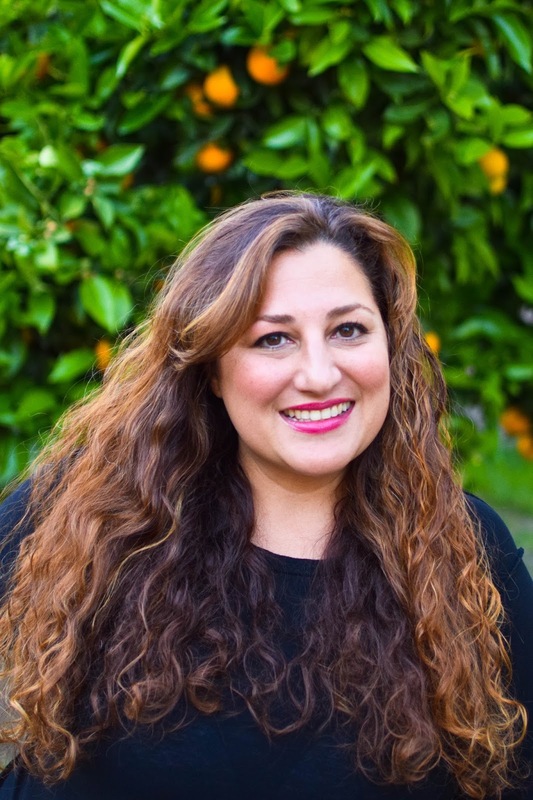 Sanam, her husband, and their rescue Great Dane currently live in a seaside suburb of Los Angeles in what they affectionately refer to as the Lamborn Citrus Grove. 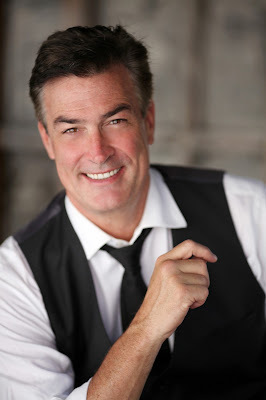 American actor, producer, director and writer, Daniel McVicar has also worked on the Italian TV and has been knighted honorary Cavaliere del Tartufo or Truffle Knight! A very versatile actor, Daniel studied with Stella Adler, Lee Strasberg, Milton Katselis, and the Royal Academy of Dramatic Art. Over the years, he has played in different international productions, easily transitioning from world renowned CBS The Bold And The Beautiful to a Russian sci-fi movie - where he did act in Russian!! - to Italian movies, TV series and shows. Always very active and engaged in many projects, Daniel splits his life between Los Angeles and Turin where he fully enjoys the local epicurean way of life. Among his many activities, he is also a theater teacher at Teatro Stabile in Turin where he shares the tricks of his trade! Besides acting, he is also a real estate and insurance expert. Born in Turin to a wine producing father and a food loving mother, I always enjoyed good food and treasure my early memories of sampling traditional Piedmontese dishes in the region’s many restaurants. I moved to the UK over a decade ago to study and work as a journalist. Since then my goal has been to bring the flavours of Northern Italian cuisine to London, to recreate the dishes of my childhood with the ingredients I could find over here. This has been the starting point of a gastronomic journey which brought me to explore different cooking traditions from around the globe. But without ever losing sight of my origins. In my work as cookery teacher, I try to transmit this passion for food and traditions to both adults and children. Seeing people discover the beauty of a homecooked meal and how it brings people together around a table is a joy for me. Helping people understand the value of fresh seasonal ingredients and the importance of a good diet to our health is another great motivation behind my efforts. While my blog Tastes of Carolina is not centred around nutrition, it emphasises how traditional diets often lead to the longest and healthiest lives and on the value of eating wholesome foods. Jennifer Williams Jennifer is an artisan jam maker who owns naked jam, dedicated to producing conserves of the highest quality and creating unique tastes for renowned hotels and retail establishments. Jennifer forages fruits for the countryside to achieve attainable levels of perfection in her taste of her preserves. She is also a renowned forager and cook. Her cooking classes can be booked at the Chewton Glen Kitchen cooking school and at Lainston House Hotel Winchester. Foraging events held at the Chewton Glen Hotel Hampshire and Clivedon House Berkshire, and on location in Italy. Mari Biella makes things up and writes them down. Sometimes, people pay her for them. 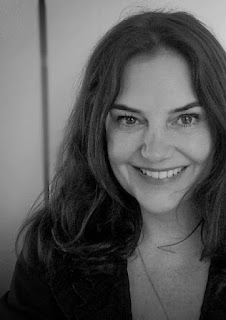 She is the author of the psychological ghost story The Quickening, Loving Imogen, and Wintergreen. Pressure of work allowing, she enjoys reading, gardening, cooking, wasting time on Twitter and Facebook, and embellishing an already tortuously complicated fantasy life. Her bad habits include talking about herself in the third person. Mari’s website is at http://maribiella.com. You can find her on Twitter, Facebook, or Goodreads. She blogs once a month at Authors Electric. You can sign up to the Authors Electric newsletter here to get news, exclusives, and some nice free stuff. 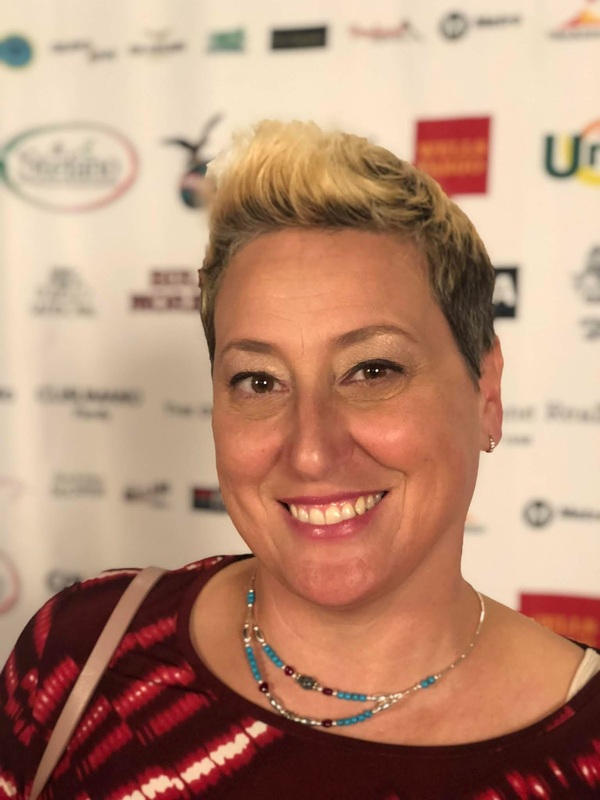 As the president and founder of Italiana Travel Design, Liana Campanella, a proud Italian-American, creates completely personalized travel experiences, connecting her clients to the perfect specialists from her network of over 400 collaborators in Italy who would otherwise be either hidden or closed. This kind of travel truly has the potential to be life-changing for her clients as well as for her providers. Liana works directly with local Italians whenever possible, in an effort to directly support local economy. She is also devoted to the preservation and promotion of regional traditions throughout Italy, especially those involving arts, culture, and food. A self-described "peasant cook," Liana keeps things simple, fresh, and filling in her own kitchen. Her organic urban garden (located on her front lawn!) provides the majority of the produce she uses and she consistently supports small, local farms and food producers in her state of Maryland who are active stewards of the land and tradition. She'll try anything once and is looking forward to the professional exchange at Turn Epicurean - as well as tasting everything imaginable while in Piedmont! Sonia Castañeda is a native of Dallas, Texas. Growing up in a Hispanic household, it was almost customary to be involved in the kitchen. Whether it was working the assembly line making Tamales with her Abuela or cookies with her Mom, it was always fun and never really felt like work. That love and passion for cooking and baking would eventually seal the deal with her future husband. In 2006 she met an Italian and 8 months later they married. Knowing she would have to leave everything behind and move to Italy, she began to document her move by starting a blog. Living in Turin since 2008, Sonia has transitioned from a foreigner with no previous knowledge of the Italian language, to a mom of 3 girls and a pretty good vocabulary. Sonia has used her past work experience in the field of Hospitality to help other expats become acquainted to life in Turin as well as offer sightseeing itineraries for visitors. She also uses her medical experience to occasionally help her neighborhood pharmacy with translation. A Texas Mom in Torino, is where she writes about the balance of being a wife, mom, shares recipes, craft, and trying to rediscover who she is again. Of course there's also the search for the perfect gelato too! Julia's husband and happy to be retired after a life of business in engineering process plant. In later life had my own business consulting and selling large scale printing machinery for the food packaging sector. Some time ago worked in Italy for a large multinational in both Piemonte and Lombardia. 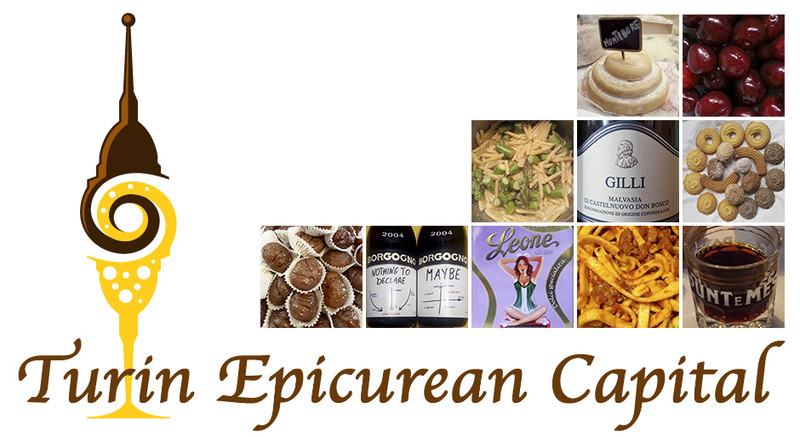 Great love of northern Italian cooking and especially the wines of those regions. 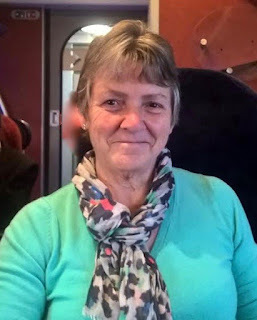 Married to Jim, a mother & grandmother, now retired, my career was in education – first as a teacher, then as a psychologist, finally as a consultant. My specialism was children with complex special needs, particularly autism. I like to keep fit – walking through the countryside most days and running a couple of times a week. We travel to Italy once or twice a year and love the delicate flavours of Piemontese food and enjoy discovering the region’s wines. 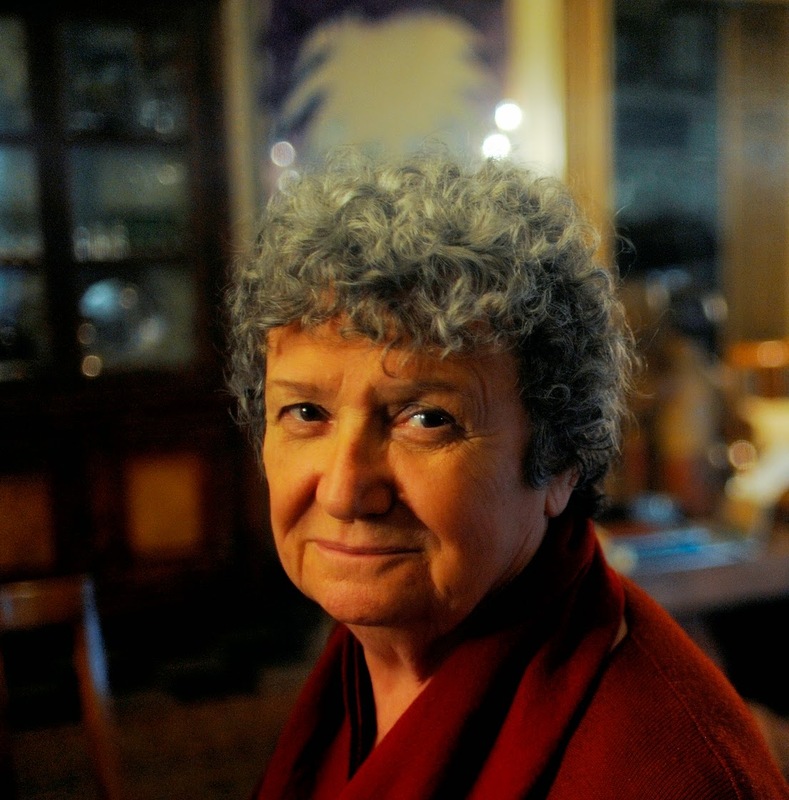 Eleanor Fletcher is an Australian living in Barbaresco, in the heart of the Langhe. 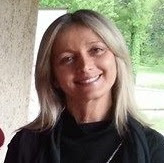 She writes a blog www.langhesecrets.com, whose mission is to uncover the hidden secrets of the Langhe. Eleanor explores roads less trodden, and shares her experiences meeting local wine and food producers and artisans. Eleanor and her partner also produce Barolo and Barbaresco, together with Australian nebbiolo, under the label Fletcher Wines (www.fletcherwines.com). She and her partner are in the process of restoring the old train station of Barbaresco (www.lastazionebarbaresco.com), which will become home to Fletcher Wines' boutique winery and cellar door. When the doors open officially in July, the station will hopefully become a hub for the amazing food and wine culture in the Langhe, including hosting events, cooking classes and meeting spot for the occasional authentic truffle hunt in season. Manuela Gomez is a Colombian designer and photographer, currently living and working in Turin. After graduating from the university and spending many years in the fashion industry, she completed a Masters degree at Istituto Europeo di Design in Fashion & Marketing. 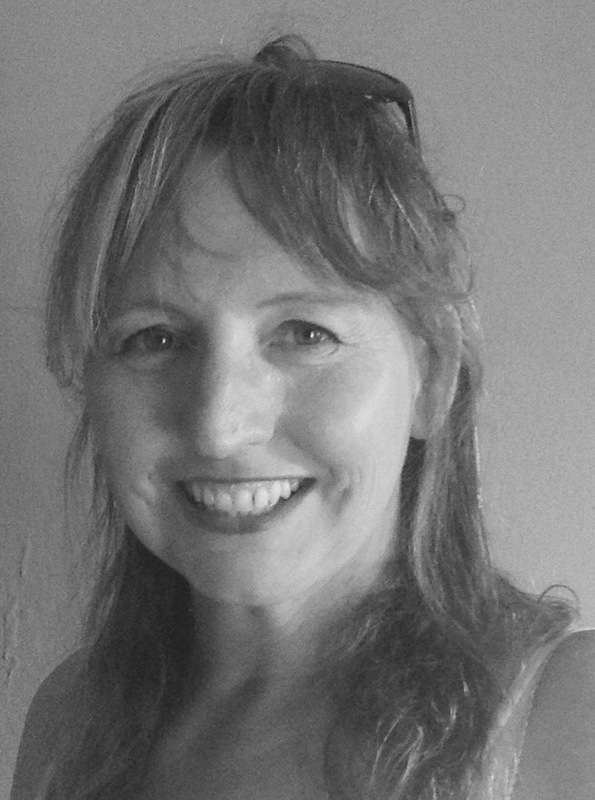 Sue Hepburn is a serial expat and serious foodie. She has lived all over the world and is currently renovating a Langhe farmhouse and enjoying all things Italian. She also runs the boutique business Naked Tartufi providing fresh truffles to private dining clients and chefs in the UK and other global destinations. A native of Turin, Marcello completed his studies in European History, Society and Cultural Studies with honors. Currently, he is the marketing and communication manager for the Turin fashion designer WALTER DANG. He believes everyone has a story to tell and he loves to use his own words to understand, change and give voice to what our daily life leaves unspoken. Literature, music and fashion are his three creative ways of choice because their strong descriptive power outlines our society, its pulsions, urges and contradictions. For the rest, he is scared of time passing by too quickly and this is why he is always on the run, even though his car is at the mechanic's. He has recently published his first novel! Sucheta Rawal is an award-winning food and travel writer, cooking instructor and philanthropist. As the founder and executive director of Go Eat Give, Sucheta’s personal mission is to raise awareness of global cultures through meaningful travel, good eating, and community interaction. 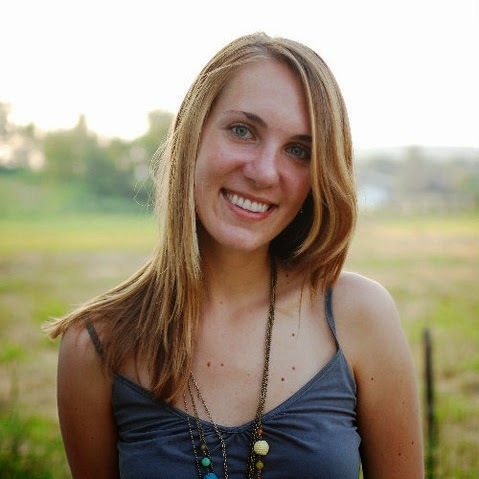 She founded Go Eat Give as a blog in 2011, to educated readers about sustainable and volunteer traveling, learning about authentic cuisines, and engaging with locals. Go Eat Give is now a 501(c)(3) registered non-profit serving audiences across 120 countries. 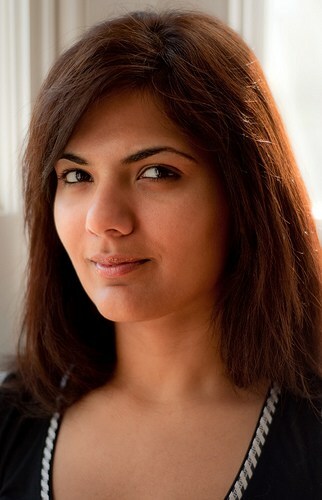 Originally from India, Sucheta graduated in investment banking, market research and human capital consulting and her vacations to Russia and Morocco, where she volunteered at an orphanage and women’s empowerment center, inspired her to get out of the cubicle, and uncover facts of life by encountering everyday people around the world. 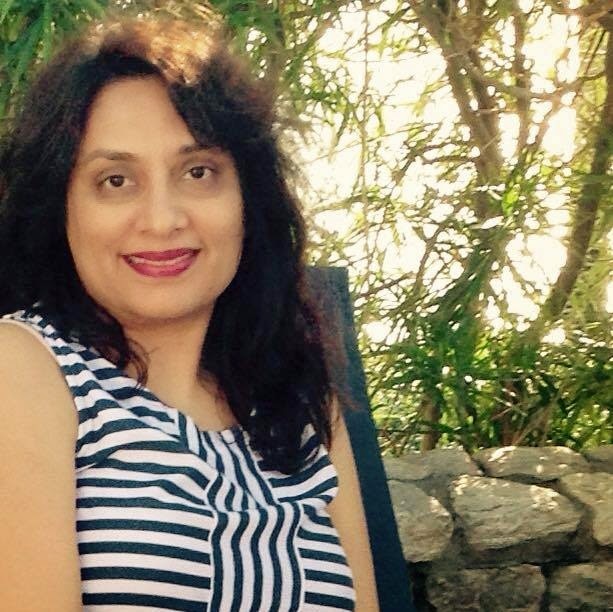 Sucheta has been a freelance writer for many American and international magazines, she teaches cooking classes and was named one of the five most influential bloggers on culture in the world by the Foundation of Florence, Italy in 2012. She was a finalist for the Atlanta Press Club 2012 Award of Excellence, and nominated for Caribbean Journalism Award 2015. 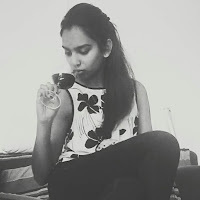 Sucheta is a member of many professional associatoons like IACP, American Culinary Federation, Association of Food Bloggers and Travel Bloggers Association. She currently resides in Atlanta with her husband and a few furry friends. 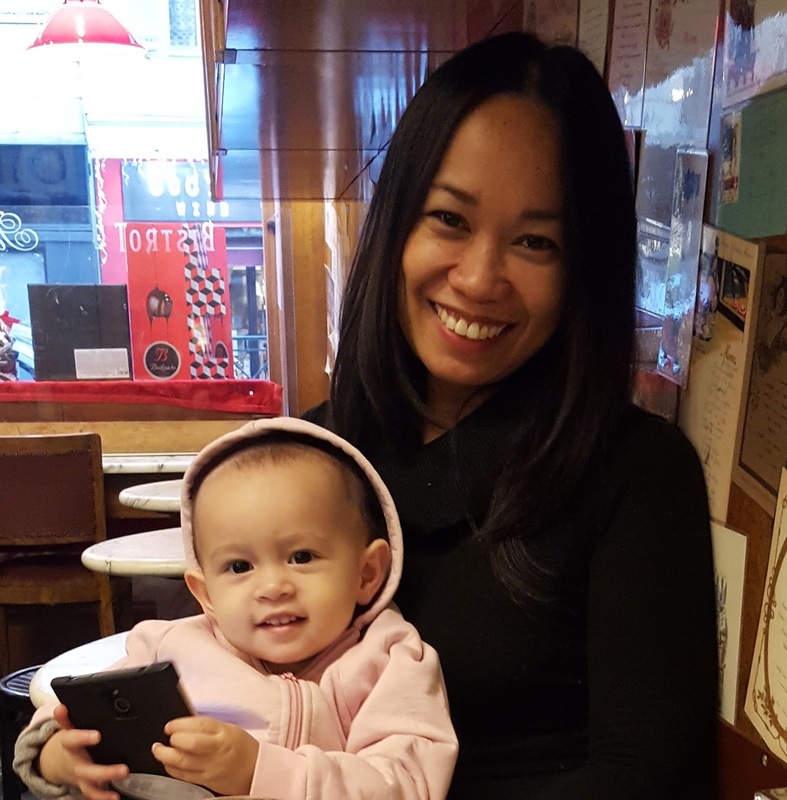 Originally from Sydney, Australia, Rosemarie had always dreamed of making her way to Europe after completing a degree in languages and linguistics. Her first stop was France, then the UK and finally, the land of her ancestry, Italy. A passion for food quickly developed as shopping at local food markets, experimenting in the kitchen and buying way too many cookbooks became routine. While on maternity leave from her English teaching job in Turin, she started a food blog, Turin Mamma. 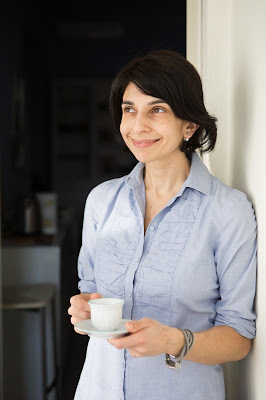 A Finalist in the Best Food and Best New Blog categories of the 2015 edition of the Italy Magazine Blogger Awards, she writes about Italian cuisine and food history, with an emphasis on the southern Italian dishes she grew up eating and those of her adopted region of Piedmont. If she’s not on Facebook, Twitter or Instagram, then she’s probably wandering her neighbourhood market in Turin in search of ingredients for her latest recipe. 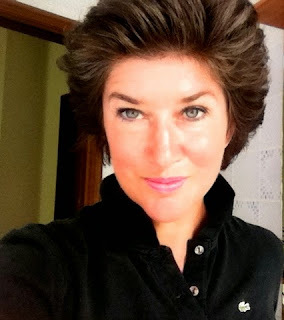 Freelance Writer, Travel Essayist, Gardener and Piemonte Enthusiast. Prior life was spent directing corporate fashion shows and professional drag extravaganzas, then building a large IT consulting firm in Seattle before making the dramatic decision to move our entire life across the pond. We packed our home, sent 200 boxes on a container and I, along with my husband and 2 small dogs set sail aboard our sailboat in 2002. 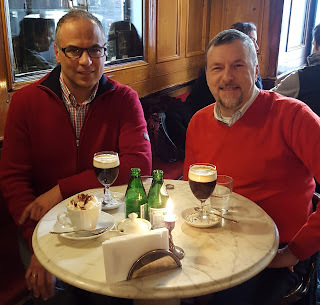 We proceeded to spend a nomadic decade in Rome, Paris, Malta, Amsterdam, Prague, Bucharest, along with 6 months spent living aboard our boat in Lignano Sabbiadoro, near Venice. Our finest decision was settling down and buying a home in Piemonte. I’ve written profile pieces in slick, glossy magazines, my travel essays are available on Amazon and my first novel will be published in 2015. Having lived in so many countries has altered my mind, living in Piemonte has altered my heart. Food lover, maker of preserves, and writer. 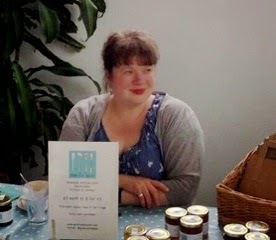 I make jams, chutneys, curds & marmalades, bake my own sourdough bread and make a LOT of cakes. I spend time in the kitchen to relax. My father was Hungarian, we used to cook together and it’s a cuisine I love to share. My Scottish grandpa showed me how to preserve, and it’s him I have to thank for knowing how to make jams and jellies. I write and sell my preserves under the name Grab Your Spoon. I’m interested in seasonal ingredients, ethical production and exploring regional dishes and food traditions across the world. Italy is one of my favourite countries so I’m thrilled to be coming to Turin this summer. I live in Liverpool, UK where I am the coordinator for the Sustainable Food City Liverpool project, working for the food partnership Liverpool Food People. We campaign for better access to fresh and healthy food for everyone, ethical procurement, reduction of food waste and the growth of an independent food economy. 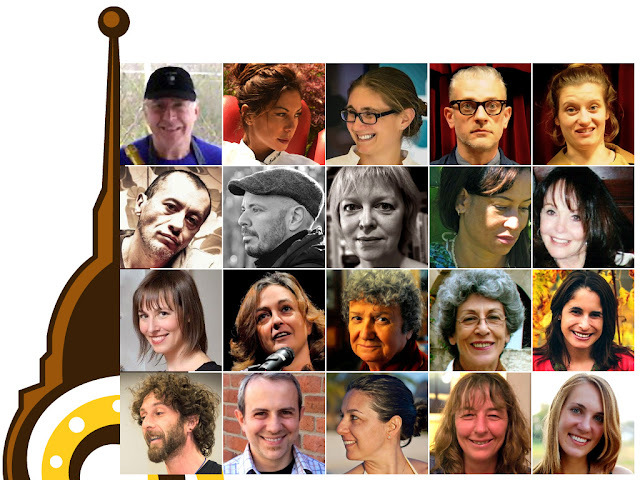 I help to run Slow Food Liverpool in my spare time, as well as gardening, photography, reading (esp recipe books) and travel. 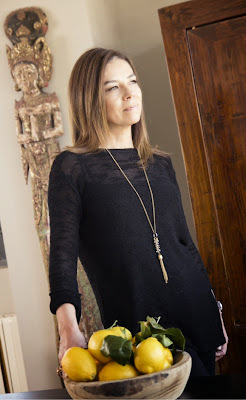 After her classical studies in Italy, a degree in architecture and graduating from the Art Center College of Design in Pasadena, Silvia entered the advertising world. She was an art director for many years at famous NYC ad agencies, producing successful and award winning campaigns. Secretly, however, she always dreamed of becoming a chef. So, she went back to school and graduated from the Cornell and French Culinary Institute in NYC with a degree in restaurant management. She then moved to London with her husband Michele where she continued her culinary education with a Cuisine Diploma from Cordon Bleu. She then took a job as a chef at the Ritz, down - and she means way down - in the depths of the kitchen. She learned a lot and she got to fulfill one of her biggest dreams - yell “SERVICE!” in a restaurant, really, really loudly. After working at some prestigious European Michelin star restaurants, she started an event company called Strawberry and Sage, a creative food group that is an outlet for her real passion: food. She gets to expand her culinary horizon and combine them with her passion for design and artistic talents honed during her 17 years in advertising. She now lives on the East Coast and she works on making Strawberry and Sage a dream become reality. She works with private clients, celebrities, fashion and food photographers and cook book authors. She has appeared on national TV and on cooking shows on the Food Network. She is the Jamie Oliver’s food revolution ambassador in New Canaan CT, she is the food contributor for the Hamlet Hub New Canaan, She has developed a series of lectures and culinary demonstrations with Analiese Paik of the Fairfield Green Food Guide to promote and teach about local and sustainable products, and she is currently writing her first cook book, Her work has been mentioned and frequently published in Saveur, the Jamie Oliver food revolution blog, CTBites, Cottages and Gardens, Serendipity, and international magazines. 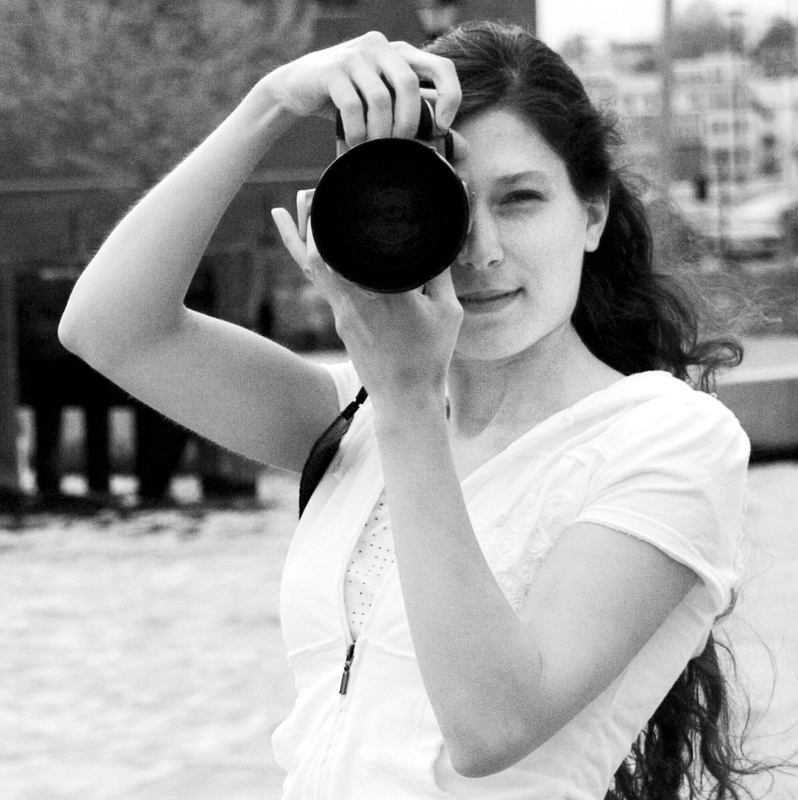 Michelle is a photographer who was born in New Jersey in the United States and who now lives and works in Turin. She was a creative child, always making something by hand, and she started formal drawing lessons at age eight. Her interest in photography developed from this passion for art and from watching her parents and grandfather take and develop photos in the darkroom. After studying English literature in college, she decided to embark on a photography career and worked as a newspaper photojournalist and wedding and family photographer in the Philadelphia area for a few years before leaving everything to travel all around Italy. Italy made such an impression on her that she decided to stay and now shoots child and family portraits and weddings here in Turin as well as photographing her travels, Italian life, and the scenery around her whenever she can. A Turin architect with a passion for jewelry making, Patrizia decided to quite her job, after the birth her two kids. This was the turning point in her life that allowed her to follow her passion and to graduate in stylism. She paints, designs furniture and makes unique jewelry pieces with unusual materials and textures, like: semiprecious stones, leather, chandelier crystals and rough metals. Patrizia's jewels express her futuristic feeling of beauty and at the same time, her sense of art; she calls them "necessaries" rather than "accessories" because they do have the power to enrich any outfit. All her jewels are one of a kind and handmade and follow Patrizia's inspiration. In 2013 she opened her shop Unique Pieces in Turin. Born and raised in the San Francisco Bay Area she has called Washington, D.C. home since 2007. She was inspired to cook and bake by her two grandmothers and her mother before she could reach the counter. Having grown up in a half Sicilian-American household Chianti was a staple on the holiday dinner table. After studying abroad in Florence, Italy in college she fell more in love with wine and the Italian culture. By 2009 she had the opportunity to work part-time for a boutique winery in Virginia for nearly five years where she did everything from sales, social media to educating customers on the art of wine tasting. 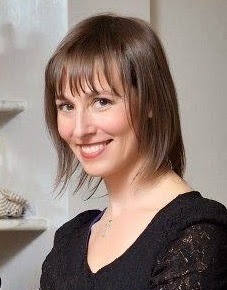 She is currently a contributing food writer for FoodableTV.com covering the D.C. food and beverage scenes. When she is not promoting culinary scene in D.C. or trying a new wine you can find her crafting new recipes, hiking, doing yoga or traveling. was born in 1954, he's a food journalist and author (Ebrei invisibili or Invisible Jews, published by Mondadori written with Gabriele Nissim e Le regine dello swing - The Swing Queens, published by Einaudi). 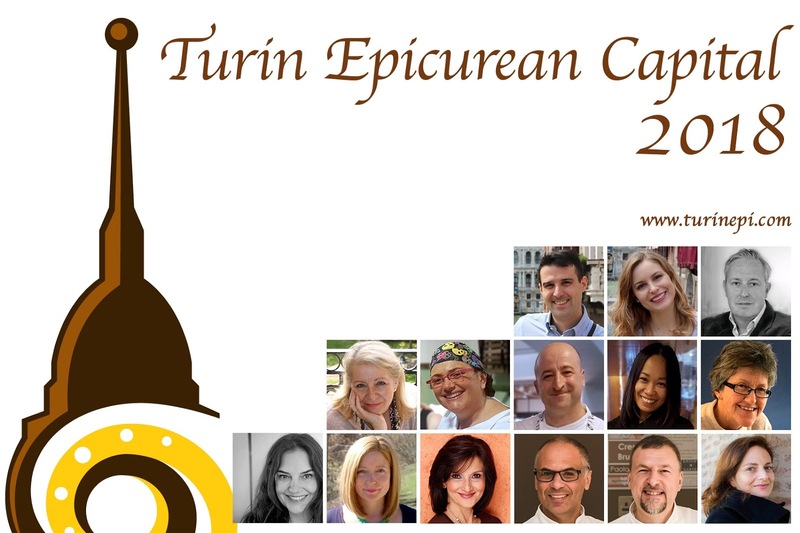 Together with Chef Pietro Leemann, he has founded two years ago The Vegetarian Chance (thevegetarianchance.org) the only European association that organizes a yearly international contest of high vegetarian cuisine. His culinary background is very diverse, made of the Jewish and Mediterranean flavors of his Turkish and Italian-Greek grandmothers, and the seven years he spent in Israel as a student. In 1978, for eight months, Gabriel was also the cook of his kibbutz. 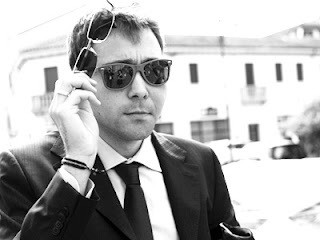 Up to 2012, he worked for the Italian monthly magazine Max where he wrote the Food section and all the food and wine articles. Today, he considers vegetarianism the best possible diet to protect the environment, the biodiversity and the flavors. is a manager and artistic director of cultural events and promotion of the locality in Italy and abroad, Laura is the creator of the wine festival Di Gavi in Gavi and the Gavi Light Box. Author, journalist, radio host and socialite PR. She does experiential marketing and strategic communication with a special focus on the Monferrato wine district in Piedmont. Keeping in high value her original land, she globally highlights the territory, its products, art and their communication. 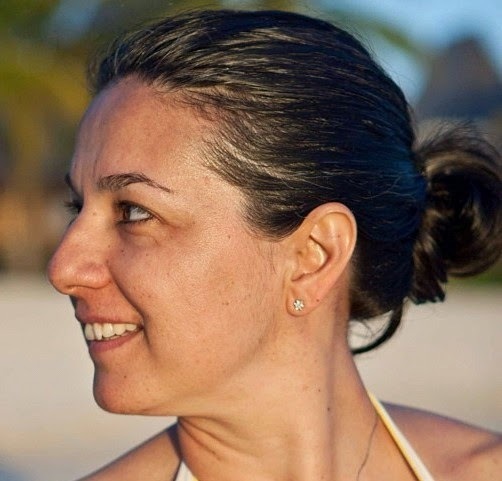 Originally from Bogota' (Colombia), Sandra has been living in Madrid for 30 years. Her studies in anthropology, archaeology, fine arts and fabrics restoration have slowly and casually led her to delve in the food world for past 15 years. As an amateur baker, she followed her passion for baking and decided to enroll in a High Patisserie class at the Atelier de Formation de Pierre Herme – École Ferrandi en Paris. Today, Sandra balances her work as a food stylist, food writer and pastry chef instructor at the Alambique Cooking School; she also contributes articles about the Spanish cuisine to the Revista Cocina Semana in Colombia. Sandra is above all an amazing food photographer trained as food and wine critic by the famous José Carlos Capel, organizer of Madrid Fusion. 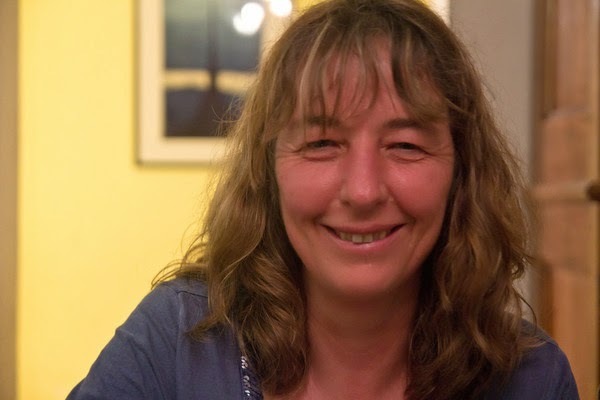 Sandra "is passionate about the ingredients' origin for she believes that knowing where they are from and how to cook them, their importance in each culture is of paramount importance to respect the cuisine... There isn't any bad ingredient, she tries to enhance the nobility of each one of them" and this is also what her pictures convey. Through her Instagram account, Sandra shares her images, recipes and also the history of the ingredients. Sandra's IG account is one of the top 30 recommended accounts to follow in the Foodies section, according to the recently published "We Instagram" (in Spanish) by Marta Alonso, with an introduction by Phil González, founder of the Instagramers Worldwide Network. was born in Turin in 1957, a real artist at heart, he graduated in fine arts both at the Turin Liceo Artistico (high school) and at the Fine Arts Academy. He started his professional career as a high school art teacher and he also taught style at "Original System" the International Fashion School in Milan. He also taught window dressing and make-up at the Art and Fashion Institute "Ilda Bianciotto", in Turin. Here, he also edited the graphic aspect (fashion sketches and models) of the school fashion publications. In the meantime he also attended practical art classes such as pottery, embossed copper, gold foil and exhibited his works in personal and collective exhibitions. In 1992 he opened his Atelier: a high fashion shop, downtown Turin. Following his vivid creativity and hand dexterity, Alberto's collections shows his constant evolution; in fact, he likes to experiment with textures, fabrics, colors and shapes, mixing old and new elements, to create new styles and models. More than just a fashion designer, he's an artisan of fashion who pays equally attention to the outfits he creates, their wearability and the painstaking attention to the sartorial details. William spent his early career as an officer in the Royal Navy. His passion however, was always about food and in 2003 he took over a traditional British pub called The Monro. It was a struggle as great food was normally served in restaurants and not in pubs. Within a year he transformed The Monro into a bar and restaurant and guaranteed that every meal was cooked from fresh. He drove to local farms to collect wild boar, rabbits and lamb and hired exciting young chefs who brought their expertise to the kitchens and then to the customers plates. The success of The Monro was immediately noticed by the national media and later by international media organisations from the USA and Europe. Now in its twelfth year under William's careful guidance The Monro continues to be one of the most popular restaurants in Liverpool. I was born on 24th October 1973 in Torino, Italy. Due to family reasons, I was raised partly in Torino and partly in Dublin, Ireland. It does not come as a surprise then that I grew fond of languages and ended up studying languages and literatures both at the University of Languages in Torino and at UCD in Dublin. I have been living in Torino permanently since 2001 when my career as an English teacher started off. I have dedicated my working life to students and teachers ever since. 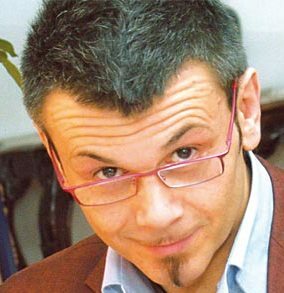 In 2006 I was appointed Director of Studies at Oversea/Consorzio Excalibur. It turned out to be an honour and a duty which has fulfilled my life through and through. I adore meeting people and getting to know about them and their cultures. I am a curious traveler who would like to see the whole world and taste as much as possible of it. I am fond of traditional cuisines and interested in local traditions. When my cultural background supports me, I also like investigating in philology and play around with words, their origin and meaning. I like playing tennis and soft mountaineering. Born to Italian parents, Maria always knew Rome was her destiny, although she was raised in Melbourne. She has a formal background in political science and policy and now runs her own event management & PR company, through which she manages marketing & social media for Eating Europe Food Tours (Rome, London, Amsterdam & Prague). An unabashed romantic (Rome being her one true love!) 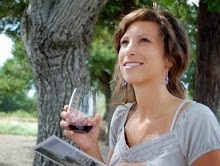 she is the creator of popular food, travel and lifestyle blog HeartRome (www.heartrome.com). 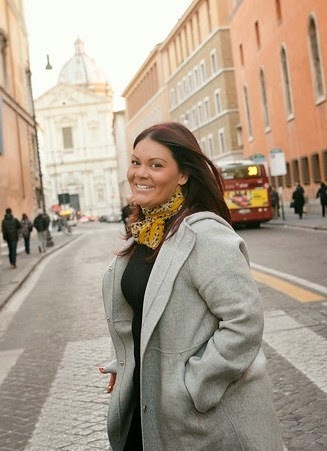 Her blog was runner up as the Best Italy Travel Blog in the 2015 Italy Magazine Blog Awards and is featured as a go-to source for Rome in the Rough Guide to Italy. She is a Local Expert for 10Best & Tripology, USA Today and was voted in the top 100 travel bloggers to follow on social media in 2014. In Rome you'll find Maria walking the streets of Trastevere, checking out the latest bar for an aperitivo or dining with friends. Transplanted from Napa, California to Piemonte Italy over 9 years ago, Anna Savino blogs for a passion about food, wine, and Italian culture. Discovering Piemonte is an endless journey and she does it one step (sip) at a time. She loves to share the beauty and wonders of the region by collaborating with a top Barolo winery where she does PR, tours and tastings. Thanks to her passion for this area, she was able to make her dreams come true by starting her own custom wine & food tour company Italianna where she provides tourists with an authentic experience in Langhe. Check out her blog for an insider's look at Piemonte! is a Karachi-based author of four novels and two collections of short stories. Her latest novel is A Season For Martyrs, while her previous novel Slum Child became a best-seller in Italy as La Bambina Che Non Poteva Sognare. A regular contributor to The International New York Times and a frequent guest on the BBC, she has contributed essays and op-eds to Al Jazeera, Granta, The Independent, and The Guardian, and writes a regular column for Dawn, the top English-language newspaper in Pakistan. 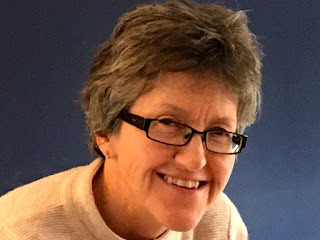 She is a graduate of Wellesley College and the Harvard Graduate School of Education, and is an honorary fellow in writing at the University of Iowa. 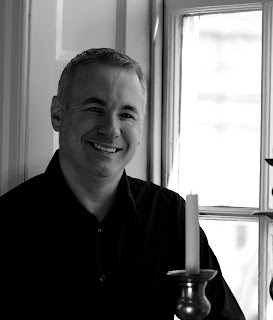 is the award-winning author of Knish: In Search of the Jewish Soul Food (Brandeis, 2014), journalist whose writing on food and culture has appeared in the New York Times and Popular Science and on National Public Radio. She has been a writer in residence at the Millay Colony, the Banff Centre and the New York Public Library. 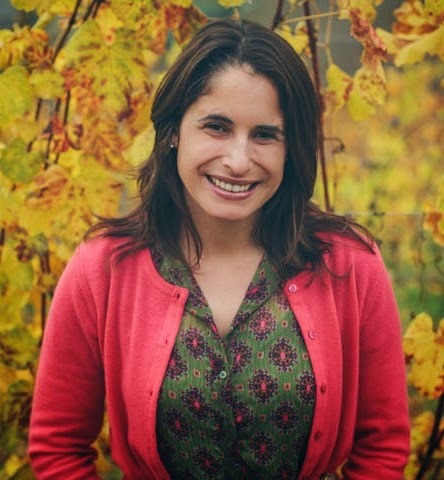 Laura has led baking sessions for people of all ages and has taught writing at Brooklyn College, the University of Virginia and the New School for Public Engagement, where she invented the course, "Jewish Food through Song and Film." A sought-after speaker, she has delivered talks at the American Museum of Natural History, the Brooklyn Public Library and TEDx and is considered the world's leading expert on a knish, a wrapped pastry of Eastern European origin which is a cousin to the calzone. After working in the City of London for 40 years trading, selling and marketing the whole gamut of financial instruments for various international banks, my wife and I stumbled across a piece of Paradise. It was February 2007 and I had decided the time was right for a bit of permanent R&R. Within a few months we had bought a house in Neive and properly discovered Nebbiolo. We built a grandchildren attractor (swimming pool) and within 2 years, when it was a proven success, decided to sell the house in the UK, help the kids and settle permanently in Italy. 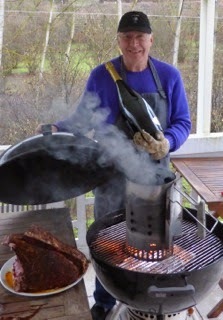 We have never looked back and are in love with the wine, the food, the culture and the family-centric approach to life. Slowly but surely we are educating our English friends that we live in Piemonte where the best wines in Italy (if not the world) are made and not in Tuscany which is the only region they appear to know. Born in Kenitra from French mother and Algerian father, she moved to France where she studied at the cooking school L'Atelier des Chefs in Paris. There she began her career in the most renowned restaurants and in the mid 1990s went to London where she met Jamie Oliver and started working with him. Later she moved to Milan and created a very successful TV format, Chef per una Notte - Chef for one night only that she had already organised in Paris at the beginning of her career. In 2012 she took part in The Chef, a new Mediaset TV program presented by two important representatives of the Italian food scene: Chefs Davide Maria Oldani and Filippo La Mantia. With the role of the only blogger at the event, she also participated in the International White Truffle Fair in Alba, where she interviewed important international personalities in streaming with great success. Elena is the author of one of the first food blogs written in Italian. An architect by education, she turned her passion for Italian cooking into a job in the early 2000s, when she moved with her family to Amsterdam - The Netherlands. Born and raised in South Piedmont - NW Italy, with the Alps' skyline in her eyes, she fell in love with Turin during her college years. Since 2003 ComidaDeMama has been tracking her work, findings and family life between Europe and the USA. Now back to Italy, she works on food related projects mainly focused on fair trade, education, sustainability and intercultural communication. Born in Turin, Giuseppe Culicchia started his literary career with Tutti giu' per terra or Everybody Down! in 1994 from which an Italian blockbuster movie followed. 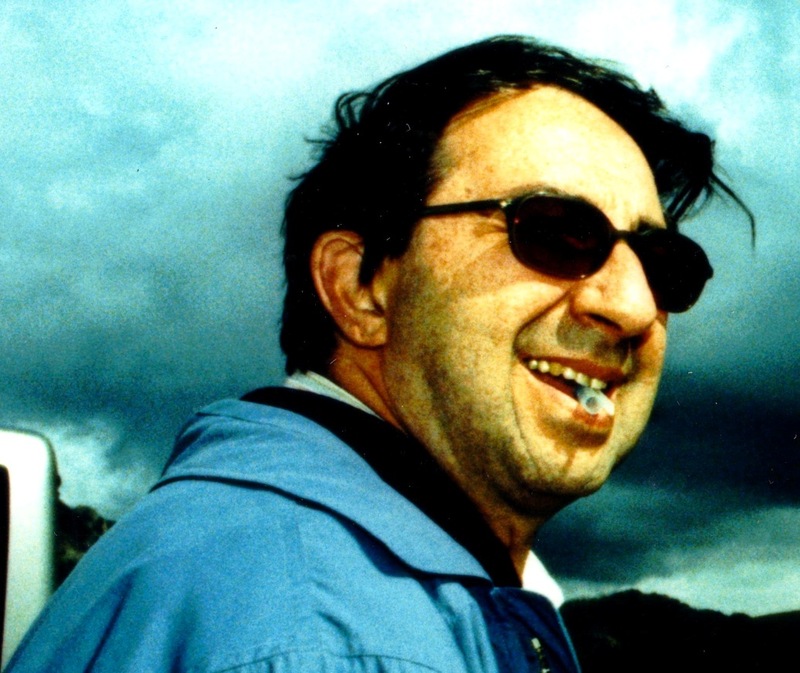 Giuseppe's literay career has produced about twenty novels and essays published by the major Italian publishing houses like Garzanti, Laterza, Mondadori, Einaudi and Feltrinelli and translated in many languages. He's also translated into Italian major authors like Mark Twain, Francis Scott Fitzgerald and Bret Easton Ellis. Born in Arezzo, Federica graduated from the Atelier Teatro Fisico school in Turin. In 2013, as an actrice she wrote and directed a reading/play E così vorresti fare lo scrittore… ma pure la Callas? - So you'd like to become a writer... and also M. Callas? 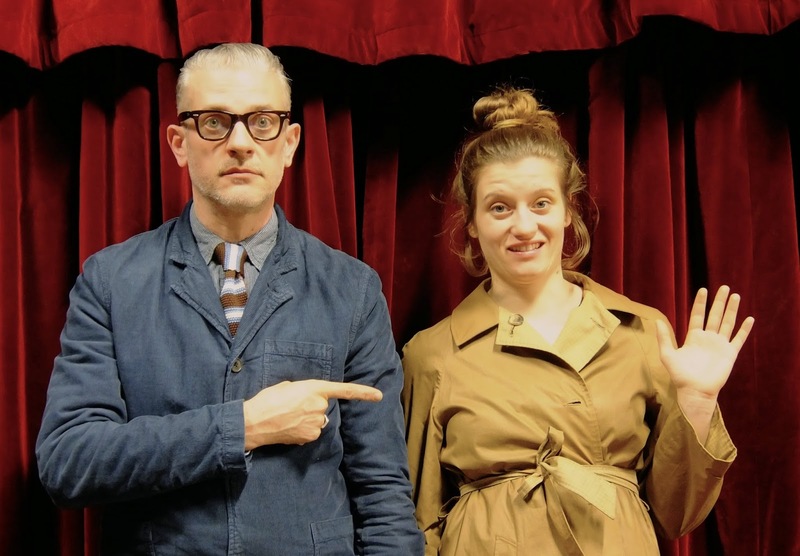 In 2014, with Giuseppe Culicchia, she wrote and directed the reading/play Tutti Giù Per Terra Remixed… l’Anti-Presentazione - Everybody down Remixed... the Anti-Presentation. she also wrote and staged Energia della Terra - Earth Energy at the Italgas Museum in Turin. A French-Hispanic-Vietnamese cosmopolitan soul, Walter Dang is one of the most talented fashion designers in Turin and Italy today. His effervescent creativity and multicultural sense of aesthetics come out in all his works: clothes, accessories, jewelry, even his showroom. Walter’s fashion career begins in French Haute Couture Houses where he worked with the great masters of style like Pierre Cardin and de Castelbajac, who noticed his remarkable creativity and sartorial skills right away. 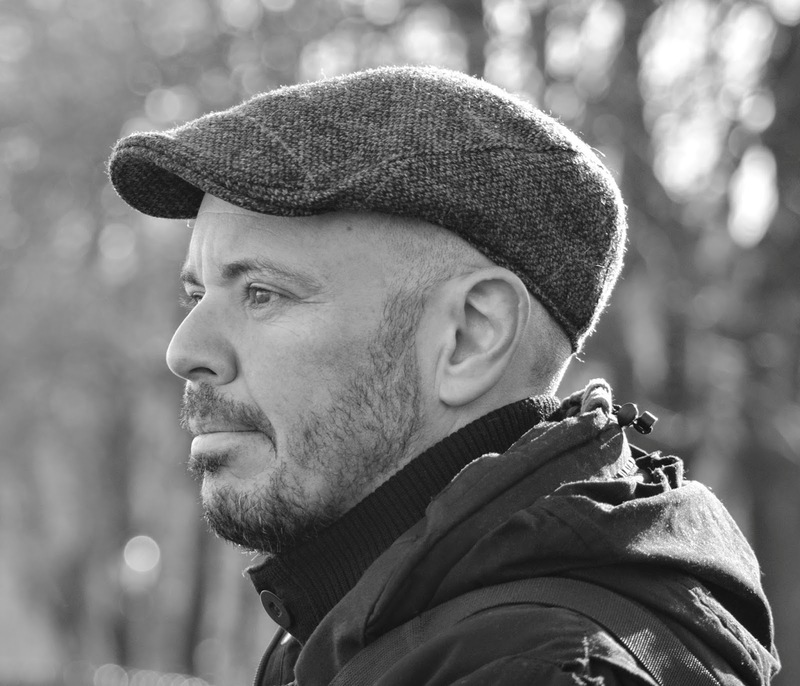 Born in Turin, Fabio Geda is an Italian novelist who, before devoting himself to storytelling, used to work with children in difficulties. 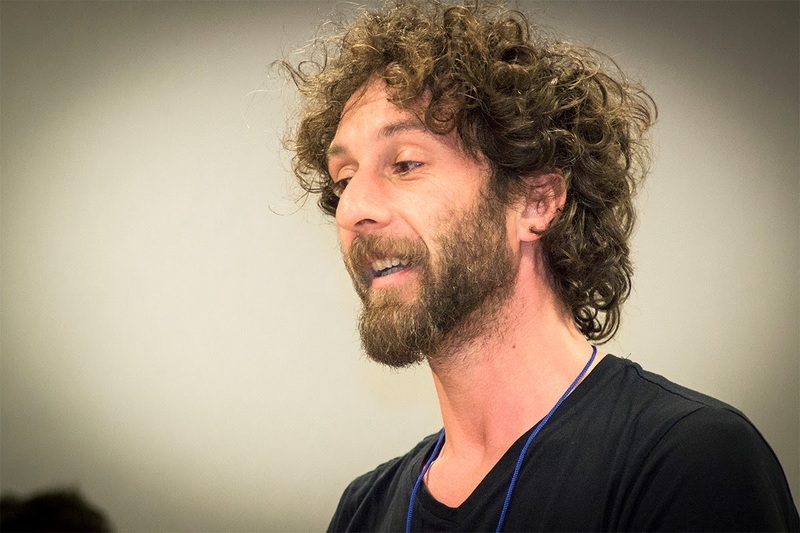 He writes for several Italian magazines and newspapers, and teaches creative writing in the most famous Italian school of storytelling (Scuola Holden, in Turin). He made his literary debut in 2007 with the novel For the Rest of the Trip I Shot the Indians. In 2008, he released his second novel The Exact Sequence of Gestures. In the Sea, There are Crocodiles (2010, translated in 32 Countries) tells the true story of a young child who has fled from Afghanistan and landed in Turin, Italy, where he is granted asylum and has been entrusted to a family to take care of him. 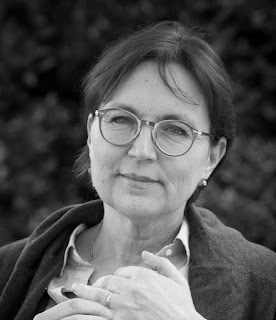 Writer and translator, Elena was the recipient of the Grinzane Cavour Price and the Italian National Price - Premio Nazionale for her translations of Umberto Eco's works into Russian. Her book Why Italians Love to Talk About Food was translated into 16 languages and won the Bancarella Cucina price in 2007. She supervised the Russian editions of Alessandro Manzoni, Emanuele Tesauro, Italian and Swiss poets and of various collections of Russian and Jewish short stories. She's the founder of Elkost International an international literary agency representing the major contemporary Russian authors. 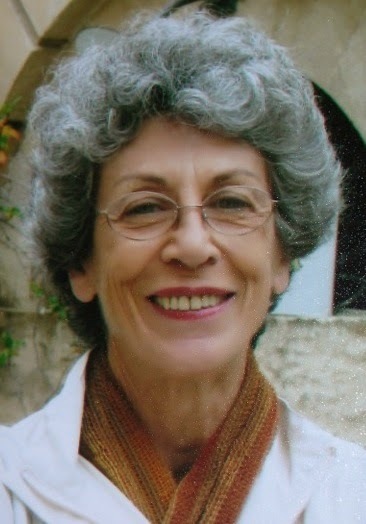 Elena won the Premio Nazionale for Joining Cultures - L'avvicinamento delle culture of the Russian Republic and in 2012, she was awarded the Gogol price. She is the author of Zwinger, a novel at its third edition in Russia and soon to be published also in Italian by Bompiani. 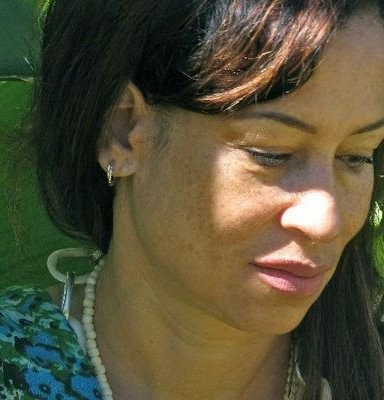 Andrea lives in Turin with her husband and children and has a vacation house in Madagascar, where this portrait was taken. She is a former staff writer for the New Yorker, and her first book, Russian Journal, was nominated for a National Book Award. As a foodie she is in love with the Piedmont cuisine and wrote articles about it. Mara has worn many hats and worked on many films in her career. In the past few years as a Writer, Director, Filmmaker of Skydancer Productions she has made two award winning documentaries "Heart & Soil” and “Wild Horses In Winds of Change”. Both films inspire stewardship of the earth, compassion for animals and conservation along with the importance of respect for water and resources. These two films have international distribution and successful broadcast runs on National PBS channels and The Documentary Channel. As a healthy planet, healthy people production company we’re always on the look out for our next project. Her soon to be published children's book is about how fashion, farming and science grow friendship and the planet. Mara said she loves the opportunity to craft and capture in film unforgettable characters and create scenes no one will ever forget.” She is an award winning photo–feature journalist, screenwriter, poet, health columnist and former writer-producer of a weekly public radio broadcast. She has a vast body of both fiction and non – fiction including a series of how-to books based on her thirty year career in the field of Public Health & Health Education. . She has a Master of Science in public health & nutrition and a PhD in Philosophy & Holistic Studies completed in 1995. The focus of her Ph.D. was Ayurvedic Medicine which Mara spent three years studying at The Ayurvedic Institute and in India. She then owned and operated an international destination holistic health retreat and was in private integrative medicine practice. Founder of MiaGola Caffè, born in the US, but raised in Turin, Andrea has a degree in International Relations. In 2013, she earned an MBA from the SAA in Turin. MiaGola Caffè or Cafe Meow, Italy's first cat-friendly cafe is home to six rescued strays and it brings together Andrea's passion for animals, technology (her professional background) and food. Made her debut as a fiction writer in 2002 with the novel La collega tatuata - the tattooed colleague, published by Mondadori. A movie and five TV series were based on this novel and the following five (Una piccola bestia ferita - a little wounded beast, L’amica americana - the American friend, Qualcosa da tenere per sé - Something to keep for oneself) always published by Mondadori. She also published a shortstory collection Il rosso attira lo sguardo - Red attracts the look and the novels Risveglio a Parigi - Awakening in Paris (2009), L’ora di pietra - the time made of stone (2011) and Un colpo all’altezza del cuore - a bullet at the heart (2012). With Einaudi, she published two surreal stories: Così parlò il nano da giardino - thus the yard gnome spoke and Il compito di un gatto di strada - the duty of a stray cat; with Notes she published a YA crimestory: L’amico di Mizù- Mizù's friend. Her last work is titled Perduti tra le pagine - Lost among the pages (2013), by Mondadori: its plot is based at the Turin bookfair. Her books have been translated in many languages. studied in Gevena with Jean Piaget and at the Sorbonne University in Paris. From 1977 to 1993 she lived in Japane where she was Visiting Professor at the Osaka University of Foreign Studies. 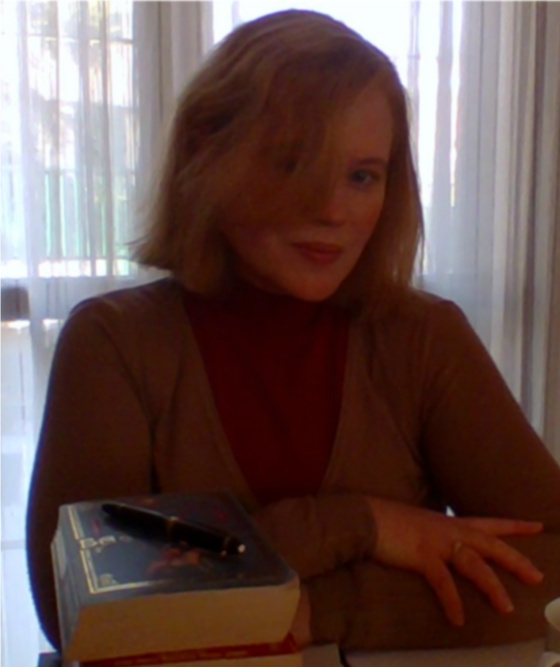 She has translated many Japanese authors such as Natsume Soseki, Abe Kobo, Inoue Yasushi, Ikezawa Natsuki, Kirino Natsuo, Kawakami Hiromi and Murakami Haruki. 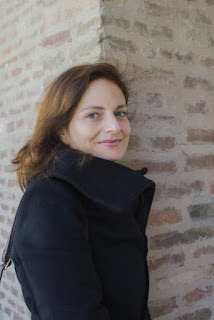 She has also published a memoir/essay titled Nel Giappone delle donne - In the women's Japan in May 2004 and Leggero il passo sui tatami - Light stepping on the tatami, a collection of short stories in May 2010 that granted her the Settembrini Award 2010. Valerie Quintanilla is a marketing pro by trade with a love for wine, food, and travel. After years of exploring Italy’s wine regions on holiday she decided to give the expat life a try in the Langhe. Today, Valerie splits her time as a marketing consultant, a Piemonte wine & food tour coordinator, and student of the wine, food, and trails of the Langhe. 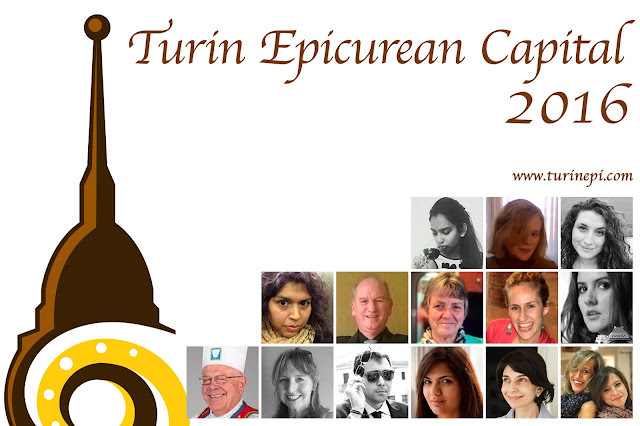 In 2014 she embarked on her grandest Langhe adventure – planning her wedding in the region. Combining her event marketing and travel planning skills, Valerie is designing a weekend that showcases the region’s beauty and culture for both international and local guests. Cin cin! CEO and Co-Founder of Gnammo. Through his extensive travels around the world, his passion for food and awareness that real relationships are created around a table, Gina Luca came up with Gnammo: a social eating project that aims to connect people through new culinary experiences, introducing new products and to give everybody the chance of using the cyber space to fully live a real life around a table where they can meet new people. Gnammo instantly caught up the media's interest and it's often mentioned as a best practice example for its new form of tourism and collaborative consumption, today in steady expansion. As food, tourism and new media join at Gnammo, its team is often invited to speak at many public events. 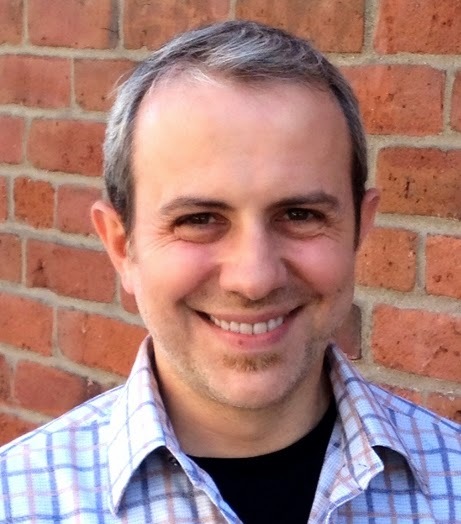 Born and raised in Italy, Paolo has a degree in electronic engineering, specializing in biomedical technology. He works as a software engineer in Vancouver, Canada, where he has been living since 2001. In 2010, frustrated by how Italian food is misrepresented in North America, Paolo started writing a blog - Quatro Fromaggio and Other Disgraces on the Menu - on the differences between what is thought of as Italian food and the food of continental Italy. 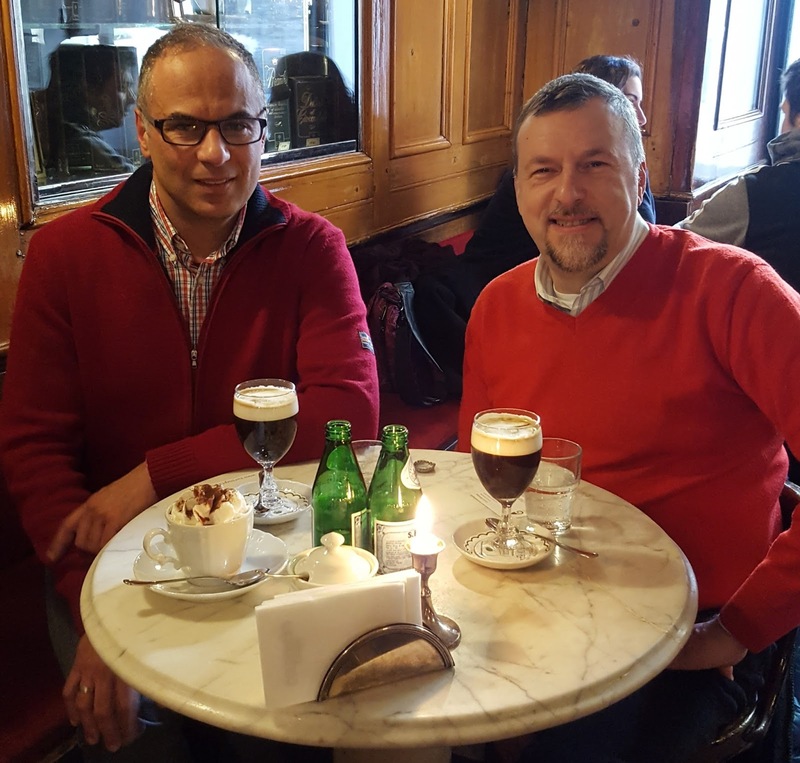 More recently, Paolo has also been producing a podcast -Thoughts on the Table- in which he talks with various food personalities about Italian food around the world. Nine years ago Sandra started living a whimsical full immersion in the food world, moving from wine to restaurants and travelling full time. Her passion turned into her profession five years ago and she's now a recipe developer, a review author, a travel writer and consultant. In short, Sandra has become the most acclaimed Turin food blogger in the world. Lisa Watson’s real passion for Italian food began nearly twenty years ago in a small restaurant in Tavernelle di Pisa, near Firenze, with a plate of fresh tagliatelle smothered in truffles. Lisa grew up on a sheep farm in New Zealand, where meat, fruit, vegetables and milk were always used fresh off the farm, which kindled her interest in growing and cooking her meals from scratch. She has an unbridled enthusiasm for experimenting with new recipes and cuisines, which often have an international flavor due to the unexpected path her life has taken over the years, leading her all over the world. Before moving to France, Lisa was a medical researcher, then worked with autistic children. 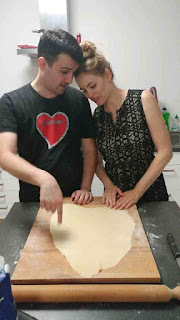 She now dedicates her time to writing a recipe blog called Italian Kiwi to share her love of cooking, concentrating on Italian cuisine, which has become such a huge part of her life since that first taste of “real Italian” pasta many years ago. Lisa has strong ties with Piemonte as her husband grew up in Turin. She visits the region many times a year. Diana’s passion for food and wine began with a small seed: a class on Italian-American Food Culture in Florence when studying abroad. The mix of anthropology, history, and cuisine fascinated her and didn’t let go. She was also previously enamored with Italy from a classic, whirlwind tour of the country. 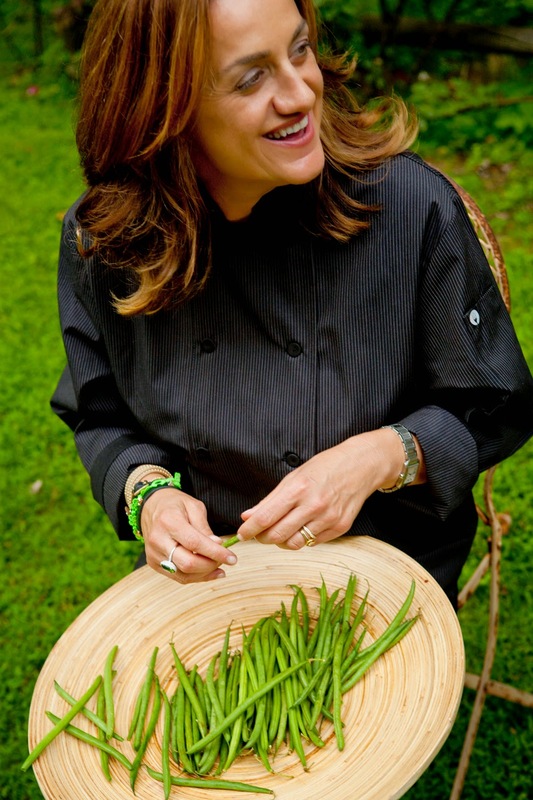 Upon graduating in Cultural Anthropology, Italian, and International Studies, it was a natural step when she attended the Slow Food University of Gastronomic Sciences in Pollenzo, graduating with a Master’s in Food Culture and Communication. 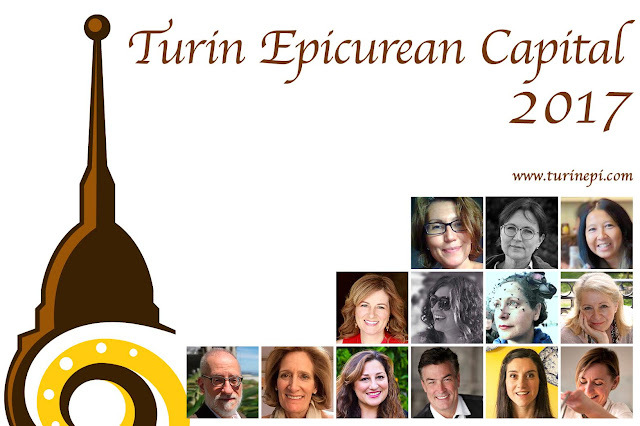 Following her love for Italian cuisine and trying very hard to stay in Italy, she moved from Pollenzo to Parma to Turin, and today works as a journalist, translator, and editor for Wine Pass, an online magazine about wine and wine tourism in Piemonte based in Alba. Still happily learning about wine, she loves discovering new varieties and particularly likes the Nebbiolos from Alto Piemonte. And, Piemonte’s craft beers are just as delicious as its wines.